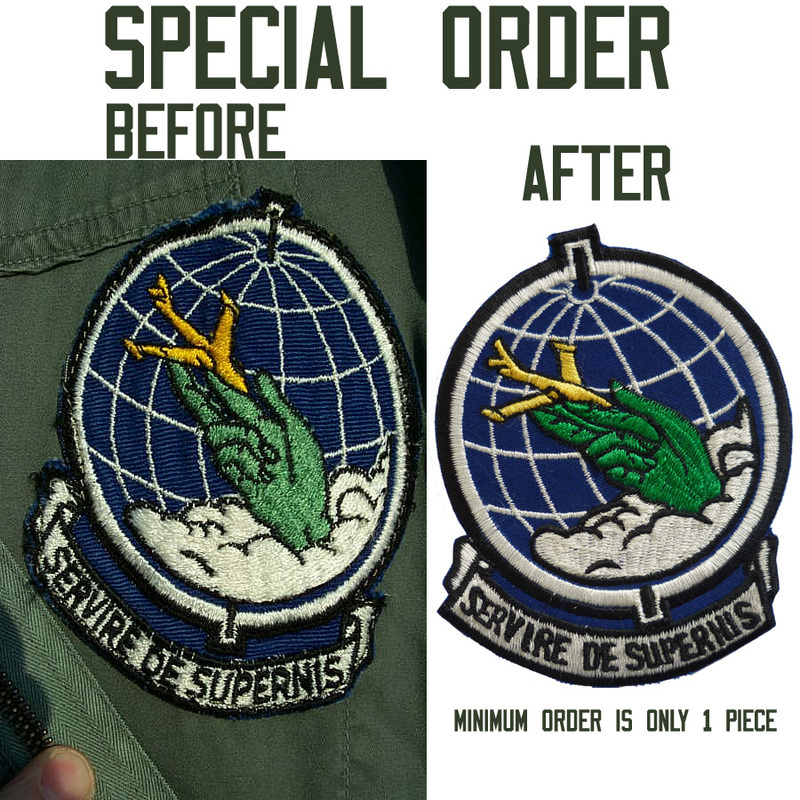 We receive requests for special orders for all types of patches. 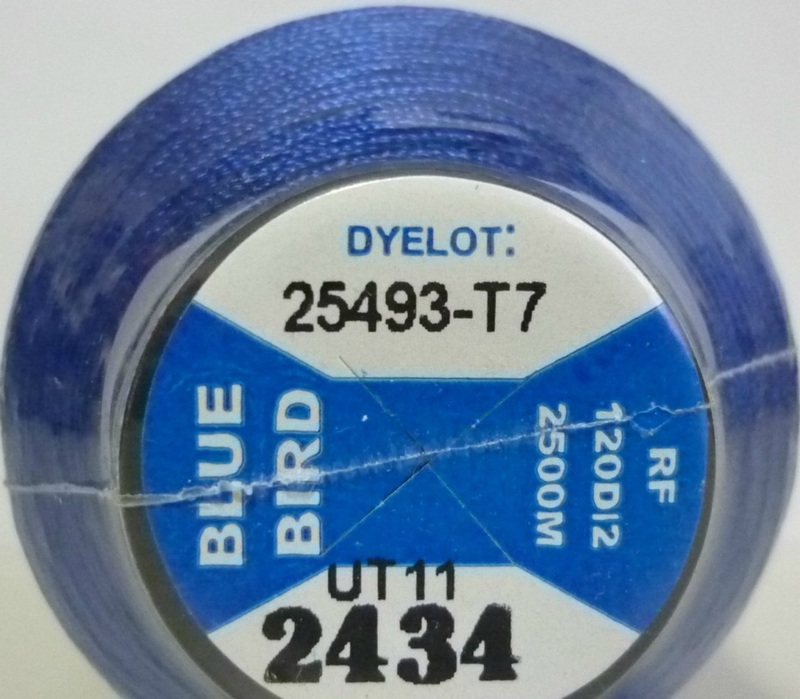 The minimum order is one patch. 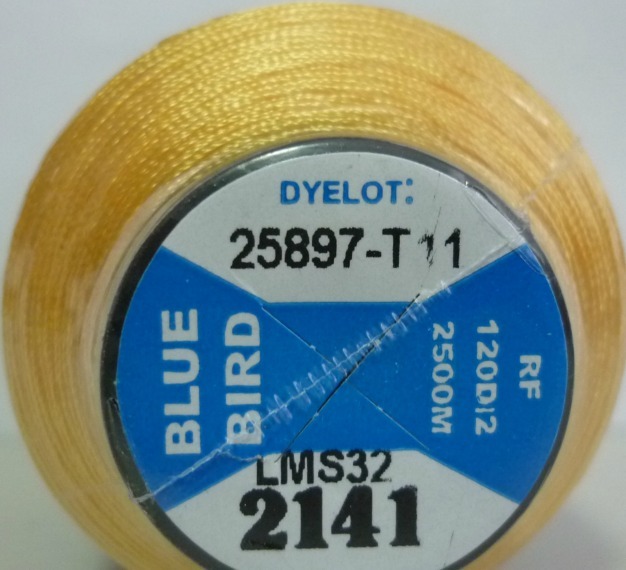 We do request that you send us a flat image and choose the thread colors as shown below. 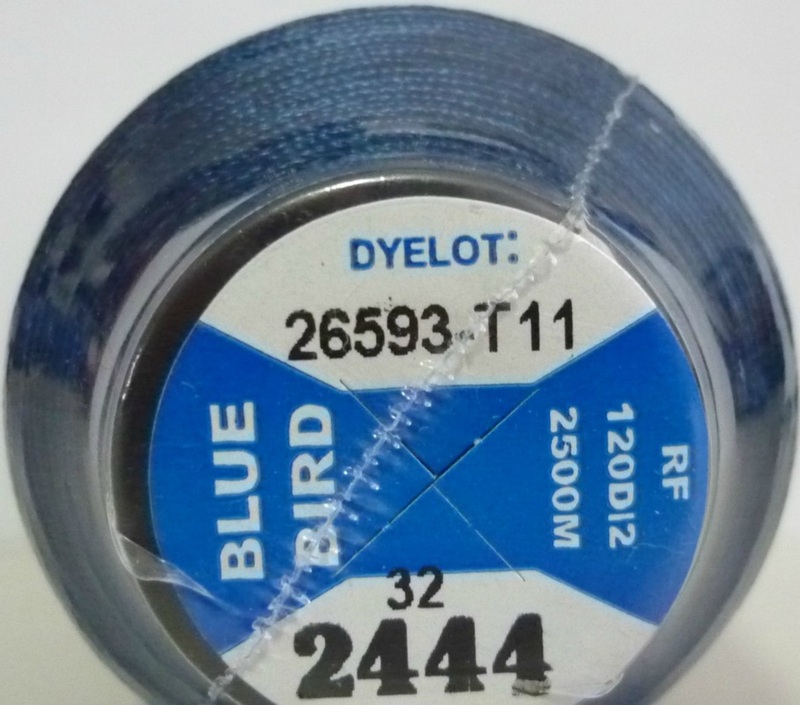 Please note that some monitors may vary in color, so please make sure your color monitor is very accurate. There are no returns or refunds on special orders, so please help us get the order as accurate as possible from the very beginning. 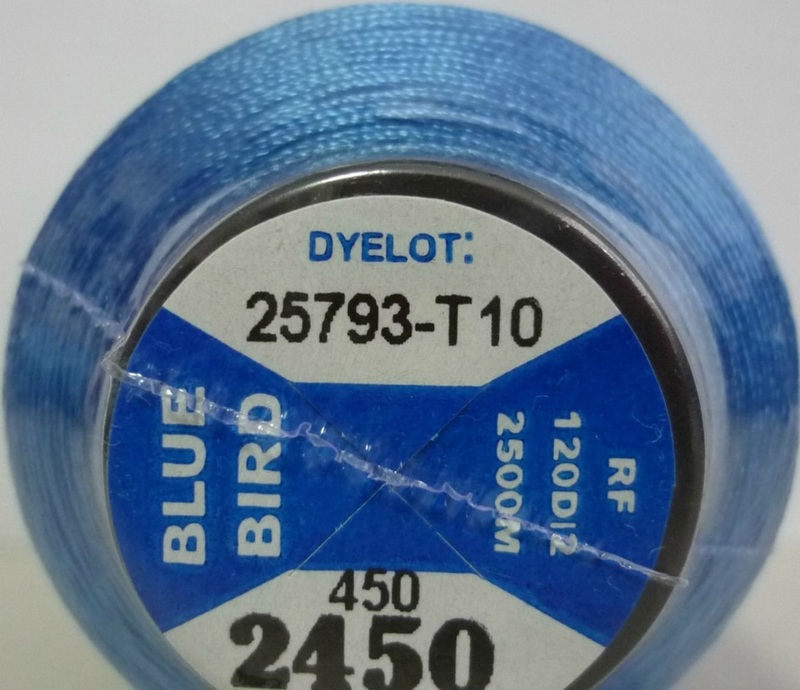 You can contact us the form below and we'll get right back to you about your special order. 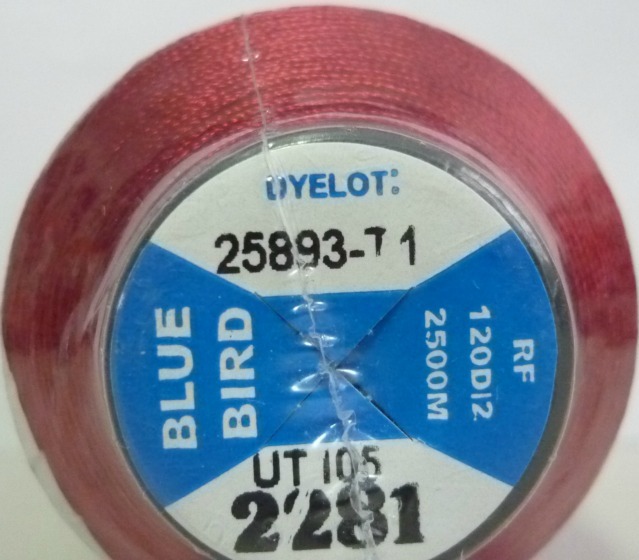 Please send us the image first before we quote you a price. 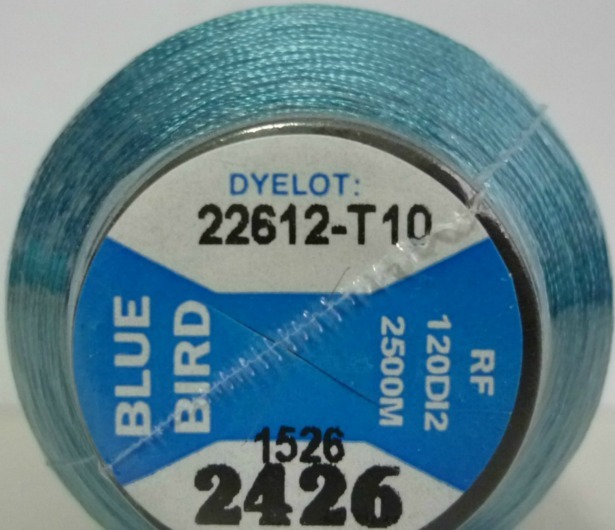 Prices are determined by degree of difficulty, numbers of colors, size of the patch and if you require any special material backing such as felt or wool. 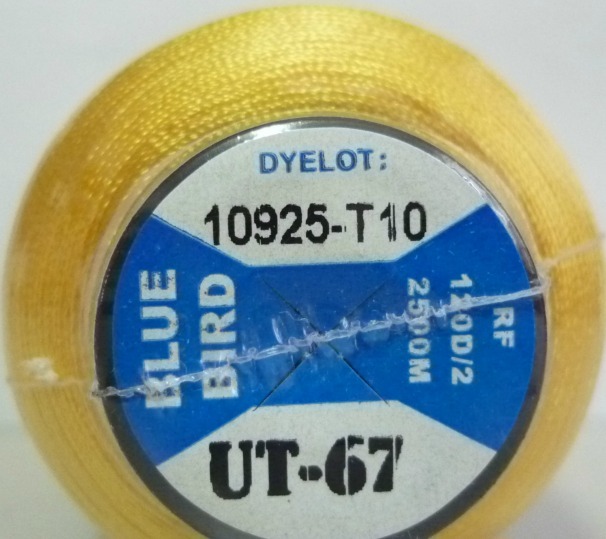 Anything over 5" require a premium price. 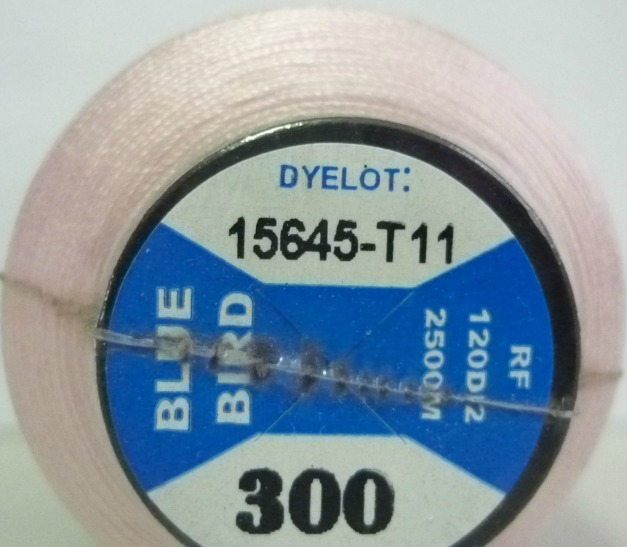 Each inch over 5" also the price will be higher. 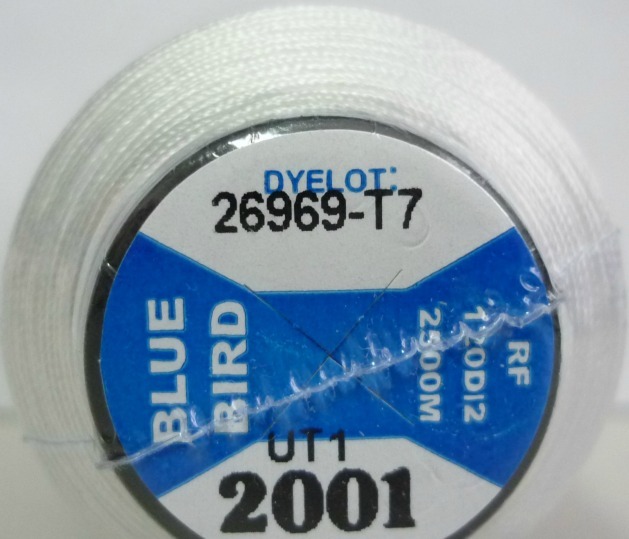 The larger the quantity, the cheaper the price. 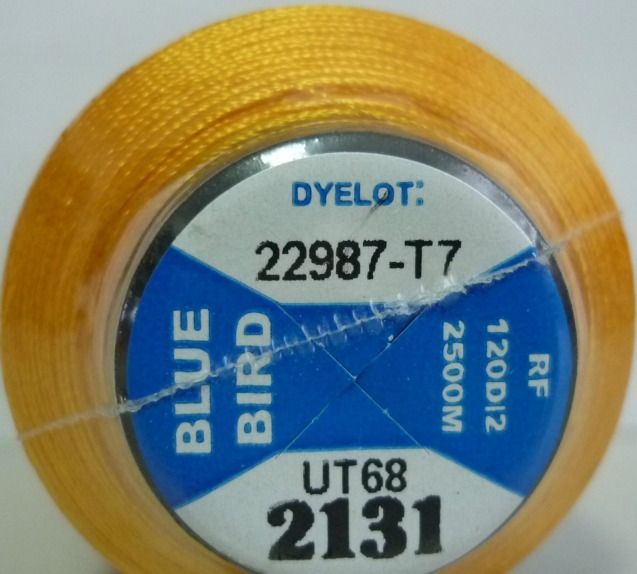 The more details you can share on your project, the better the final results. 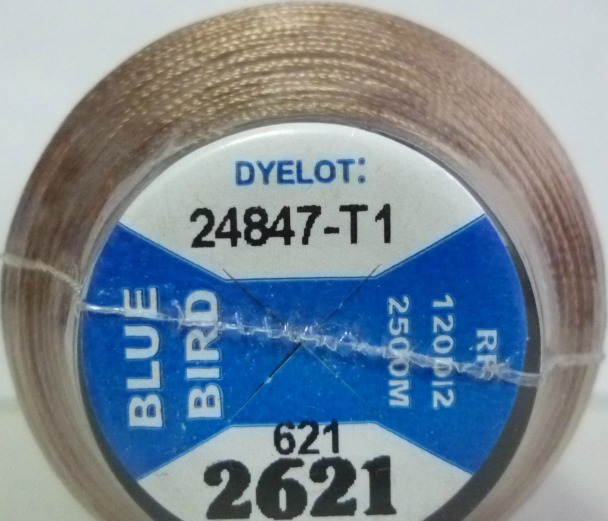 Please take the time to carefully choose the colors of choose for each part of the patch. 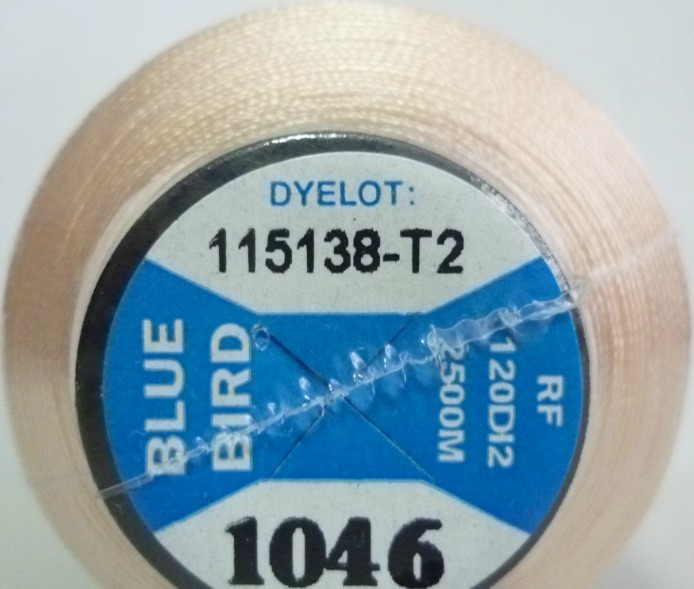 If you provide a high image detail photo with the image flat, the result will be outstanding. 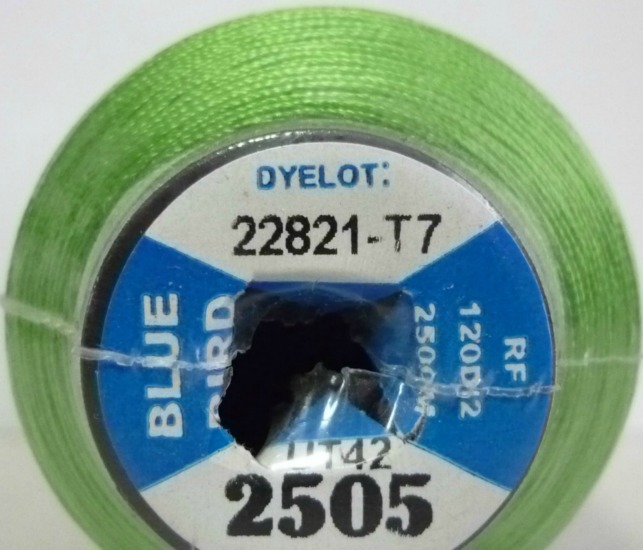 Please forward your photo and wording for your custom id. 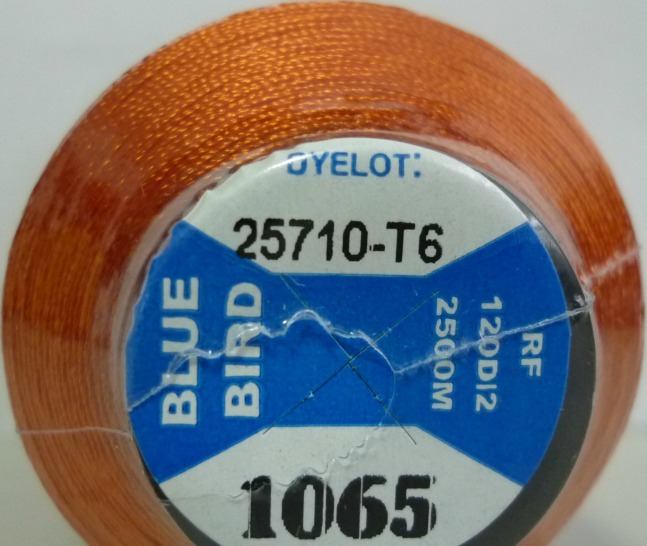 We will mail together with your patch. 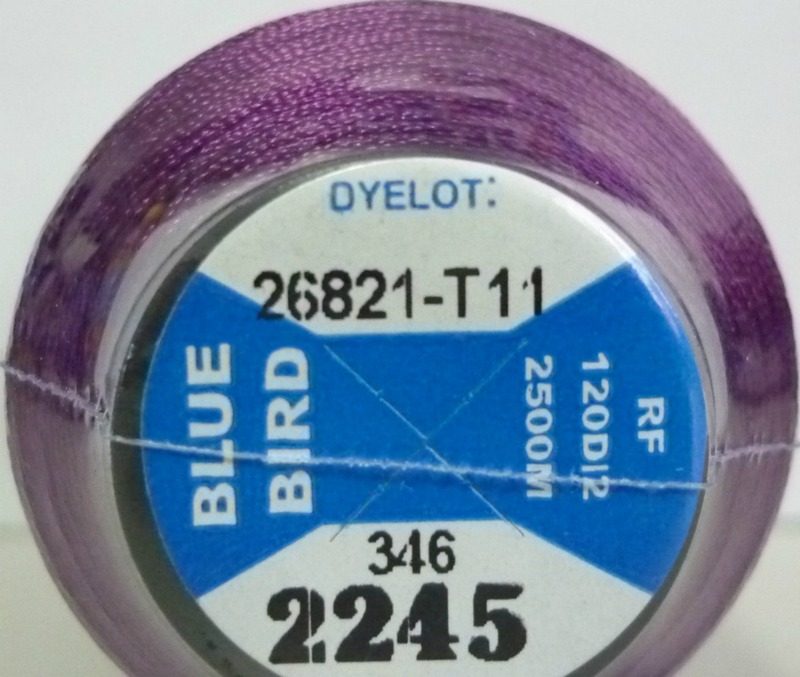 If you want more than one ID or bag tag and do not want to purchase a patch. 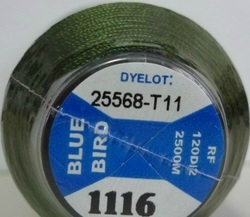 Please choose the other purchase that includes shipping first, then every subsequent ID or bag tag can be purchased here at the lower price. 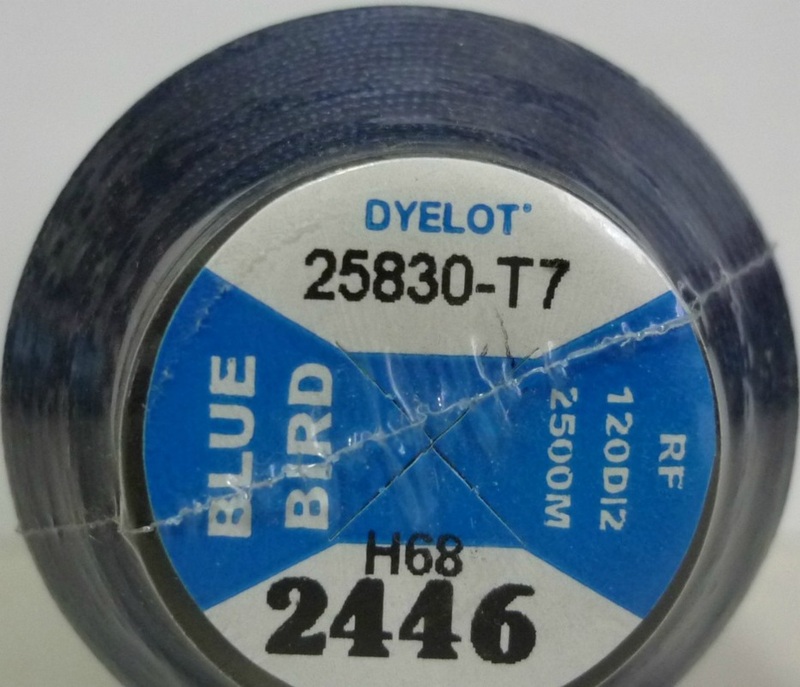 Please forward your photo and wording for your custom id. 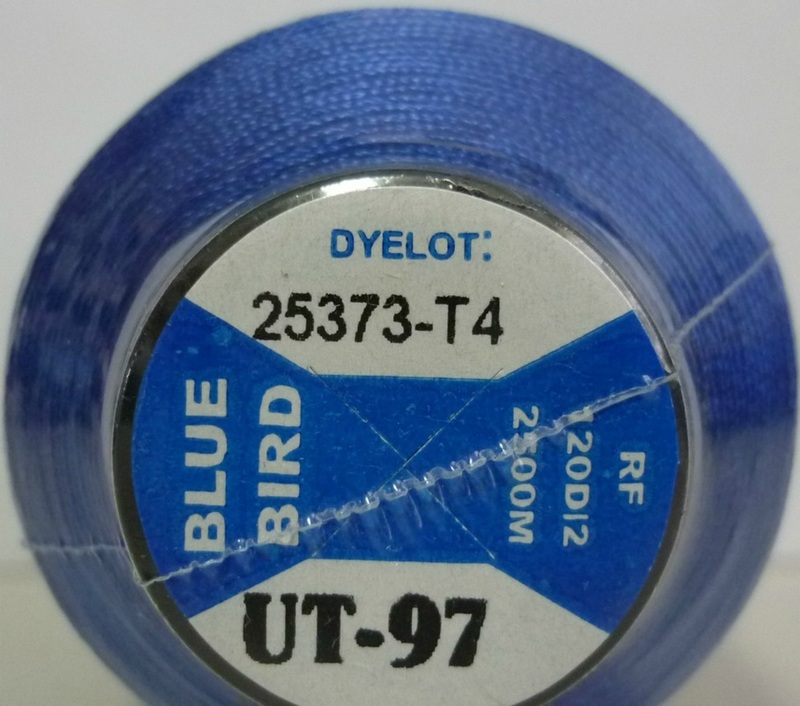 This is a stand alone purchase (without any patches) Additional costs have been added to basic shipping to most countries. 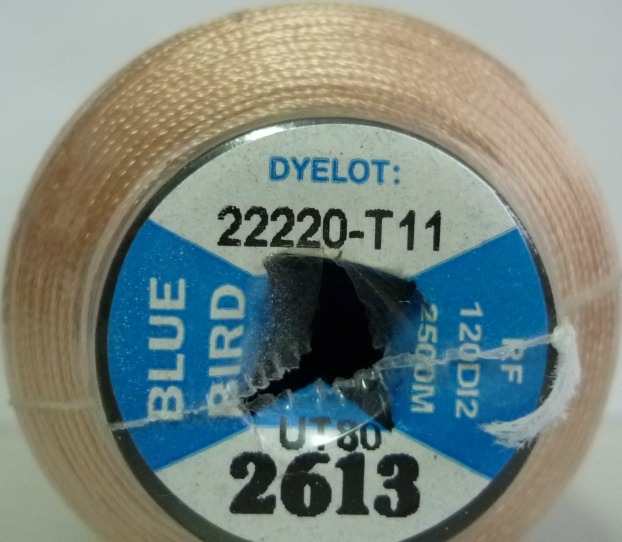 If you're ordering more than one ID or bag tag and do not want to purchase a patch. 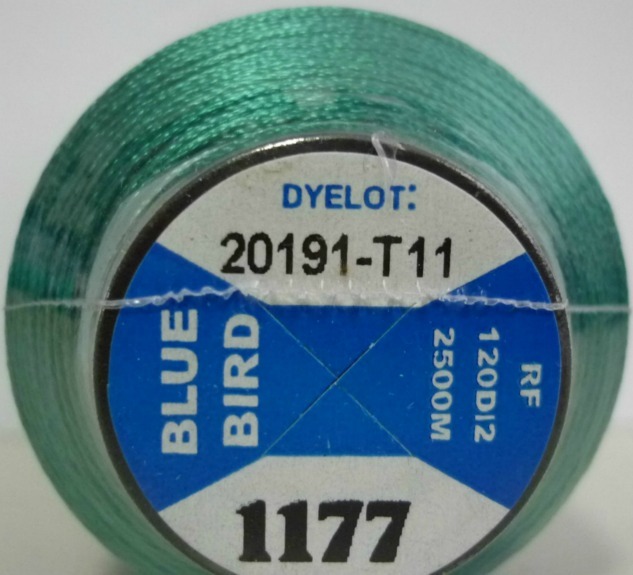 Please choose this purchase first, then choose the other link for only $10 for each additional ID or bag tag. 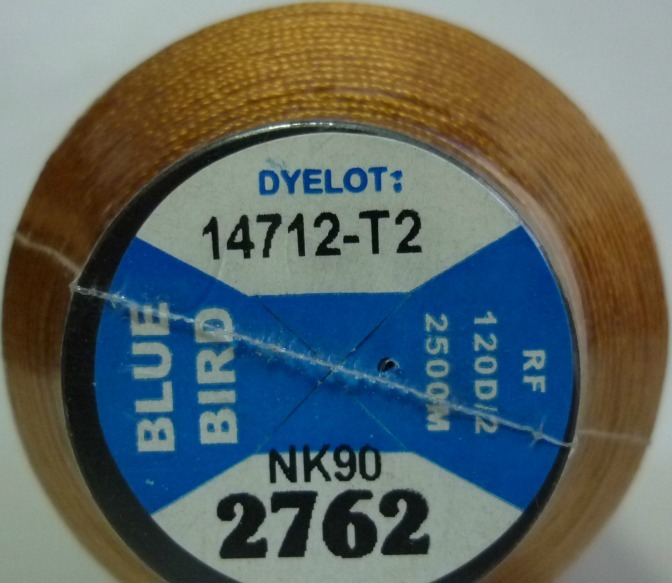 Recreated by American hands and workmanship. 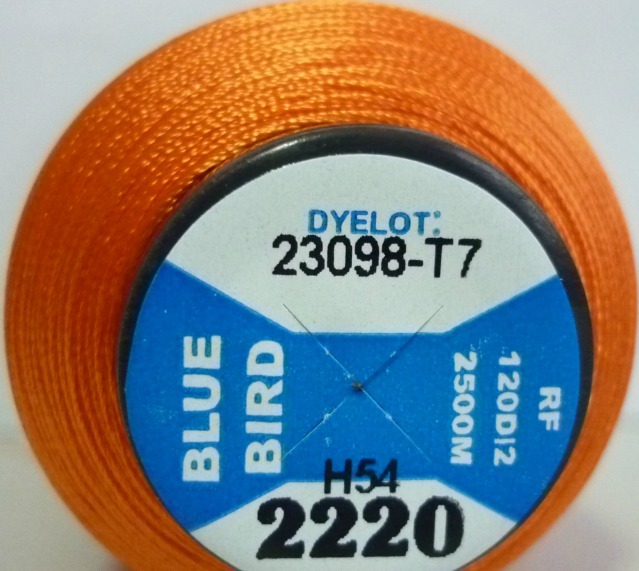 Orders are on a first come, first served basis. 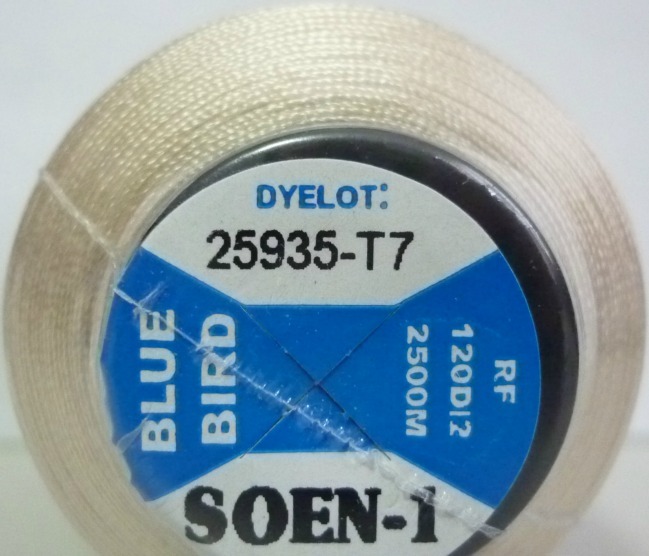 The leather patches are genuine leather 3-4 ounce range in thickness. 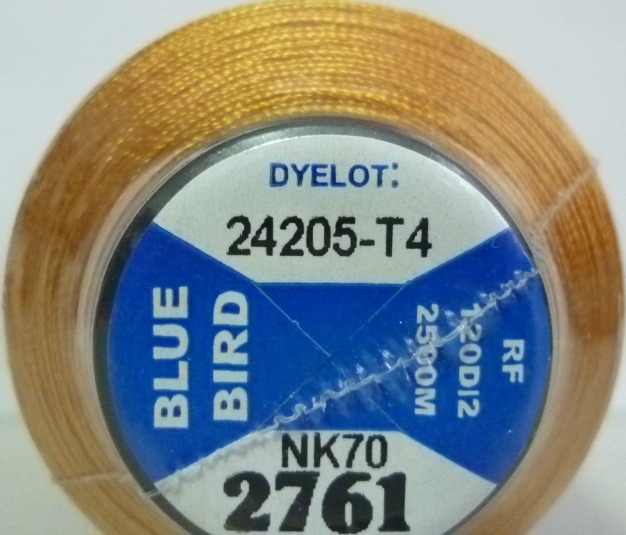 The patch artist tools the design into the leather with a special stylus, then uses acrylic paint followed by a sealer for weather resistance. 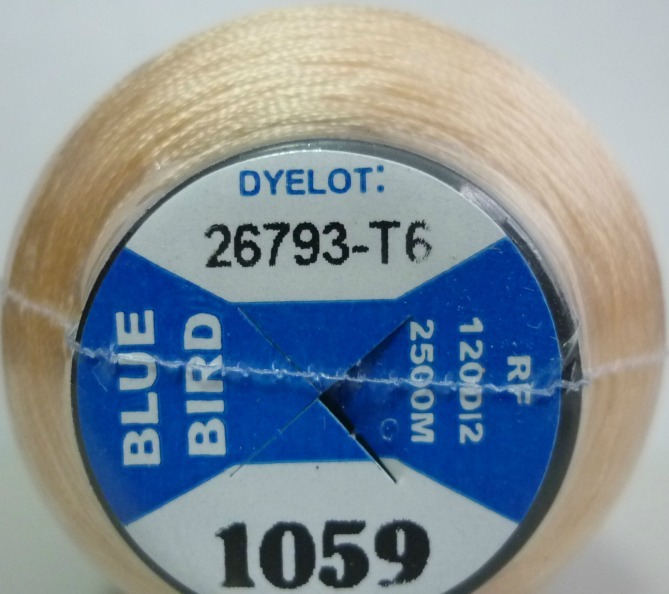 All colors may not be available, so we have placed what we currently have about 100 different shades in stock. 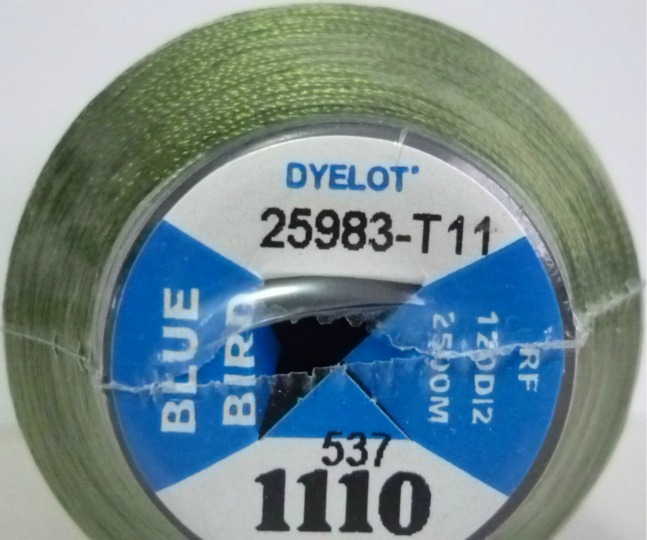 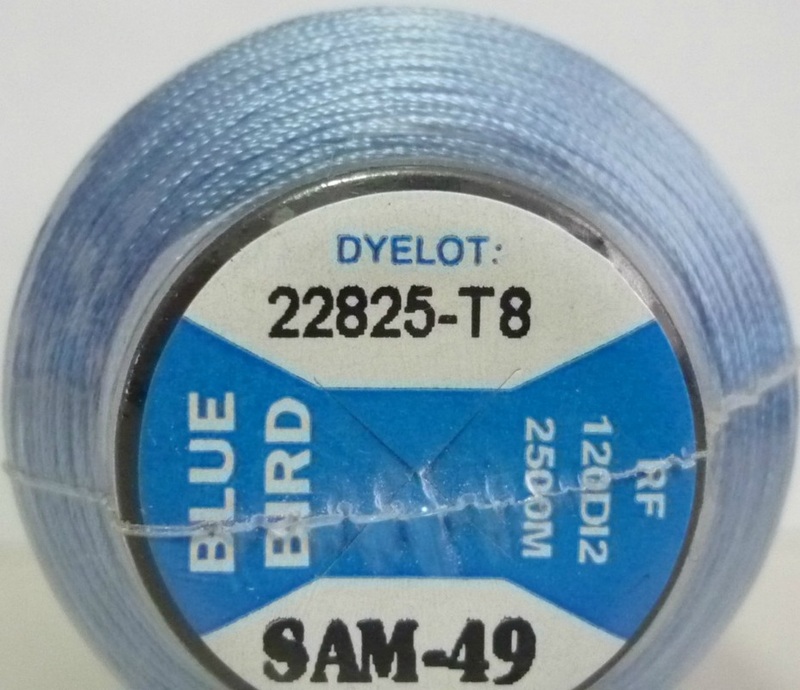 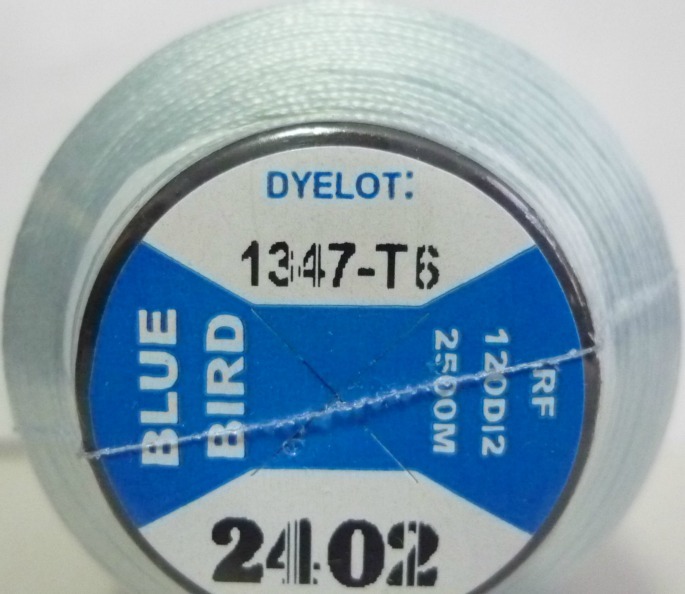 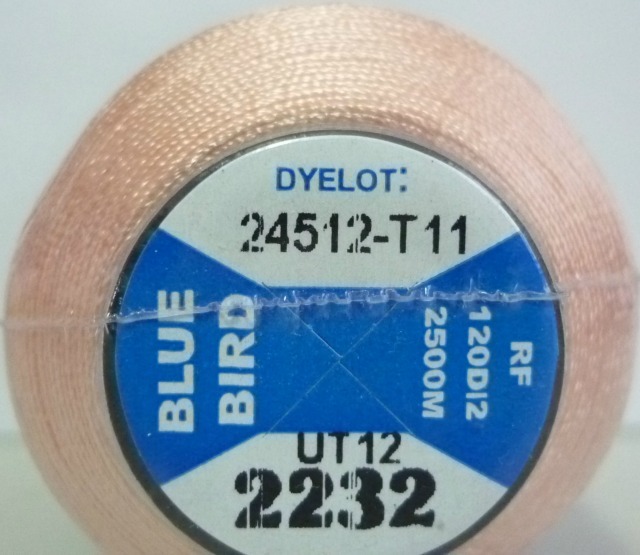 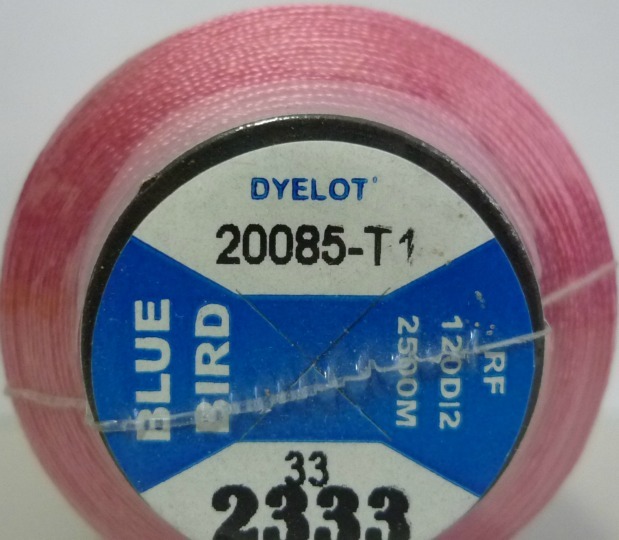 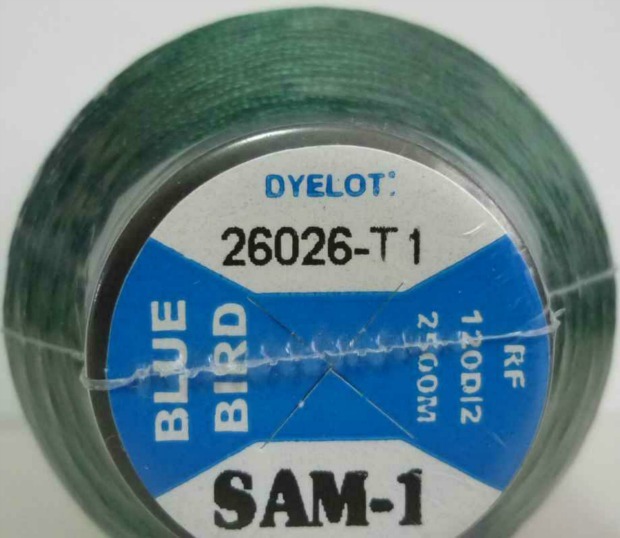 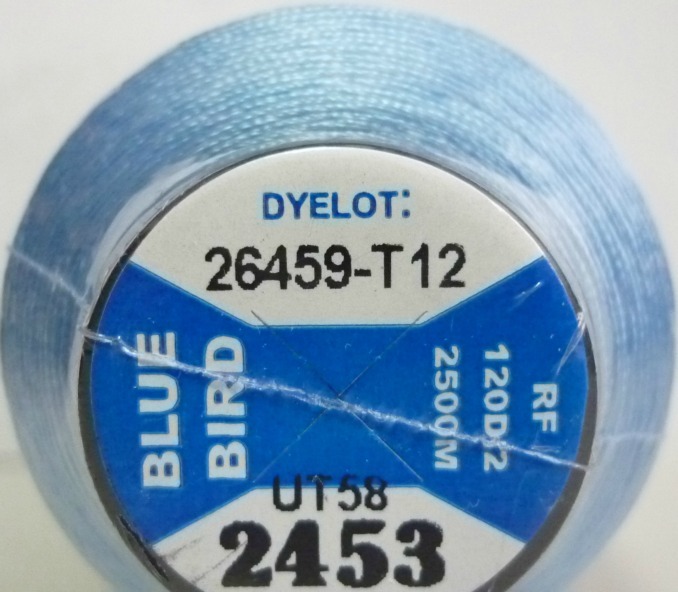 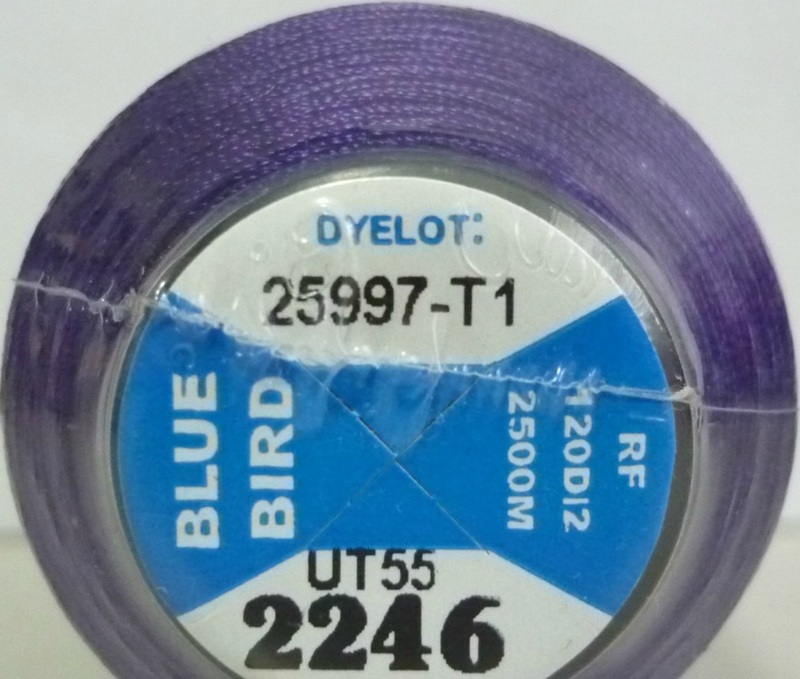 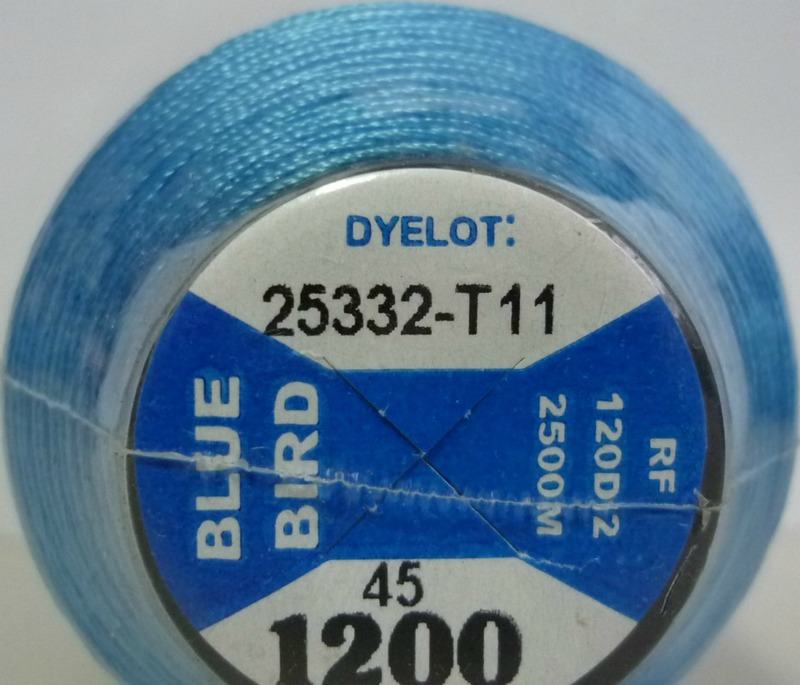 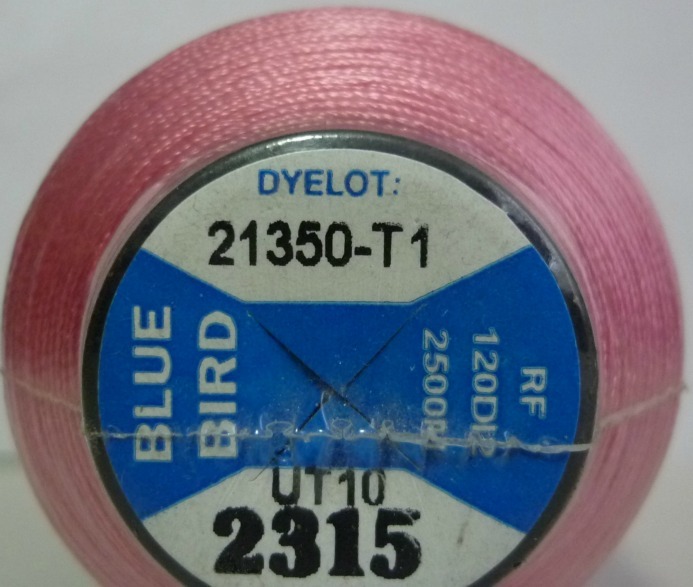 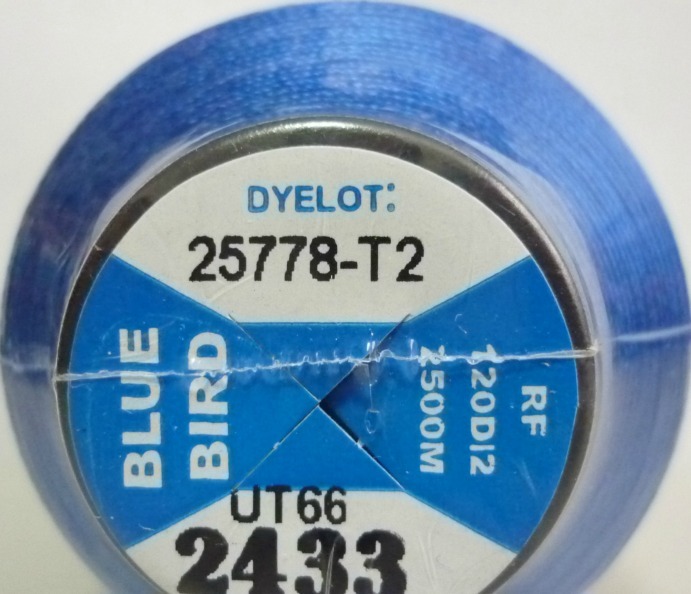 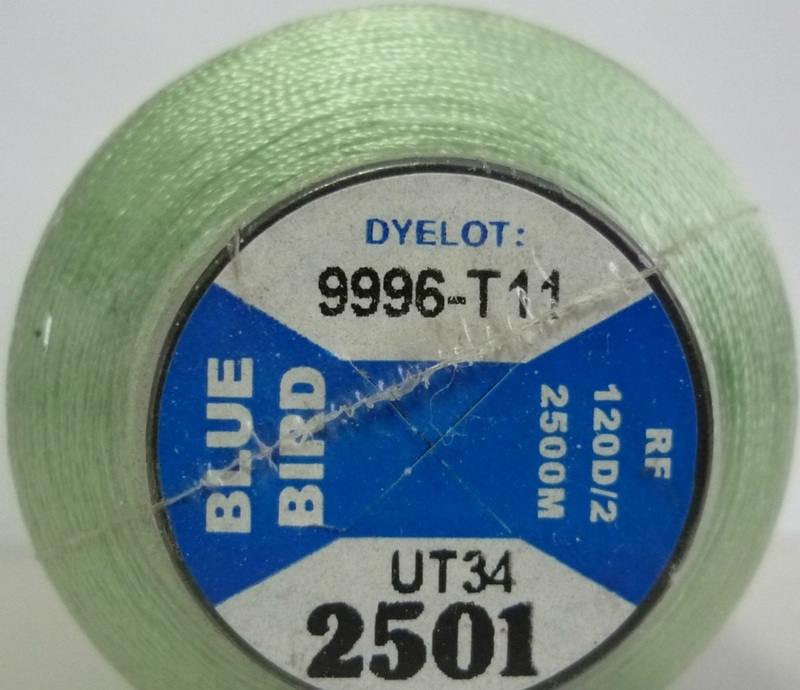 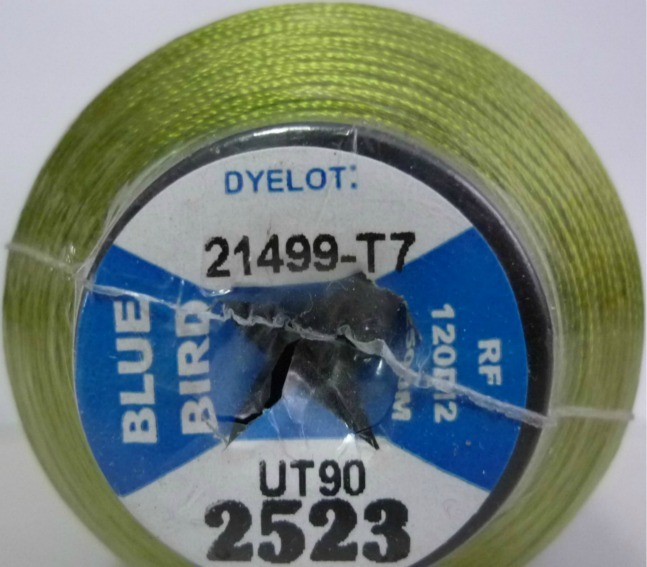 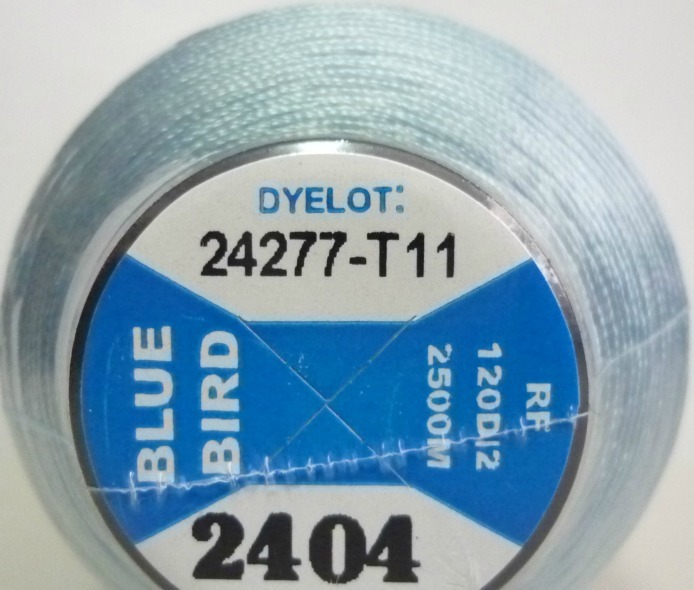 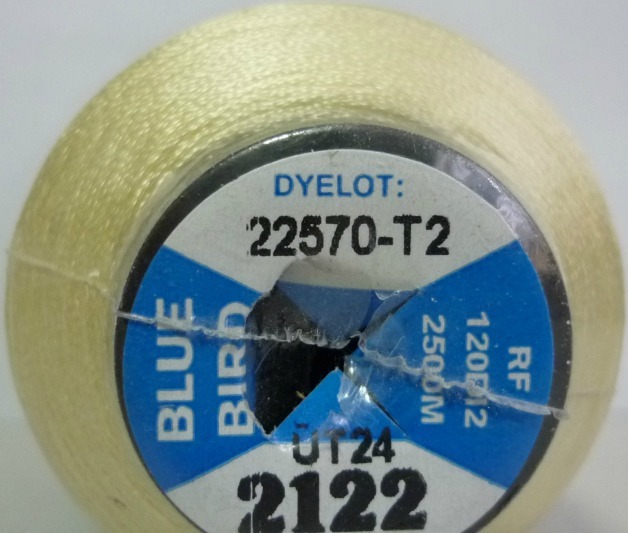 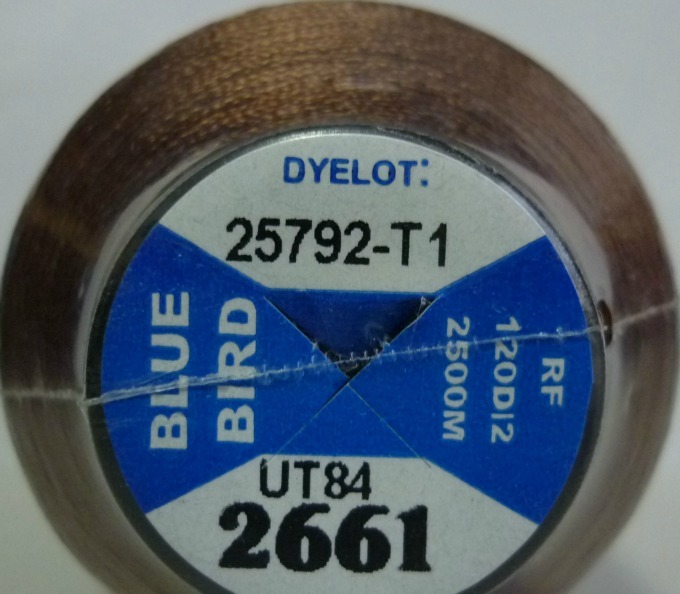 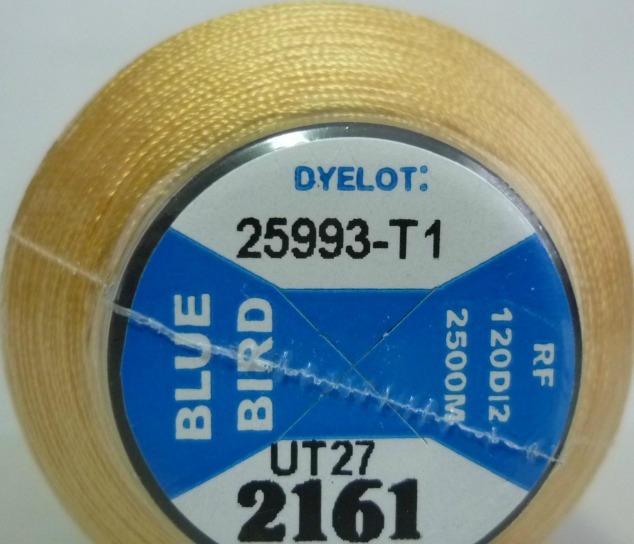 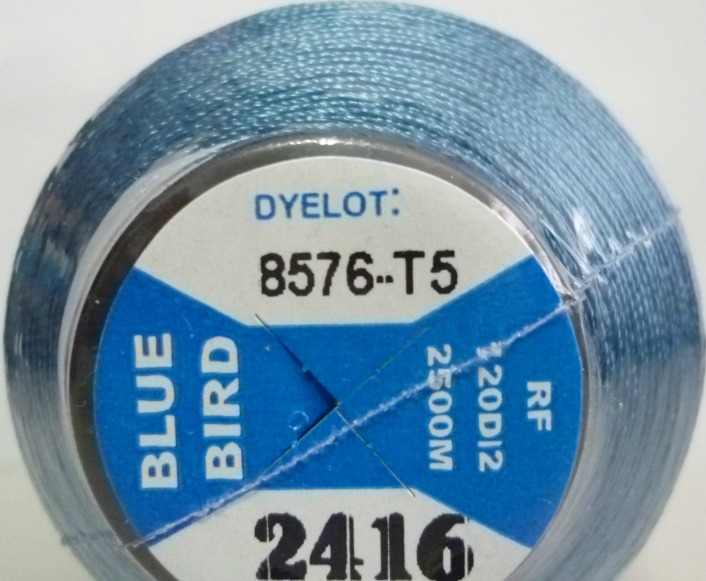 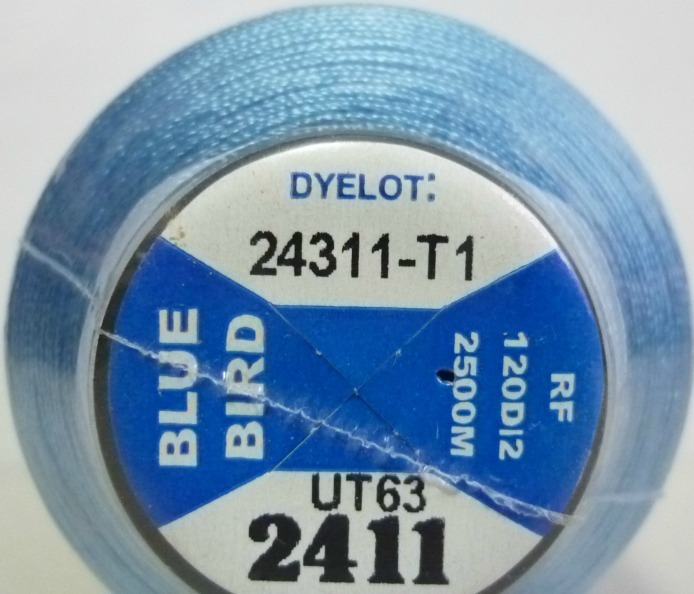 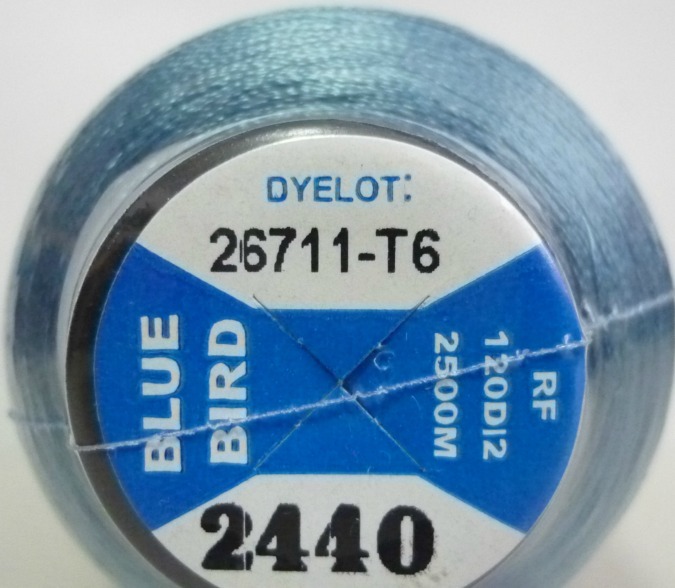 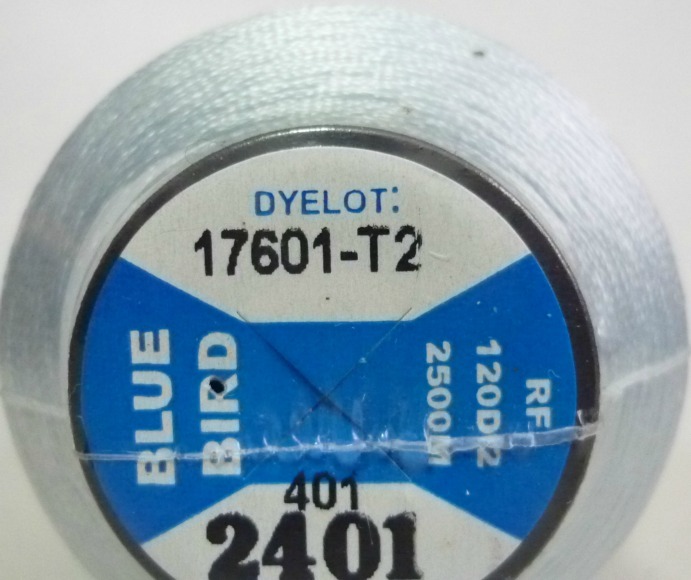 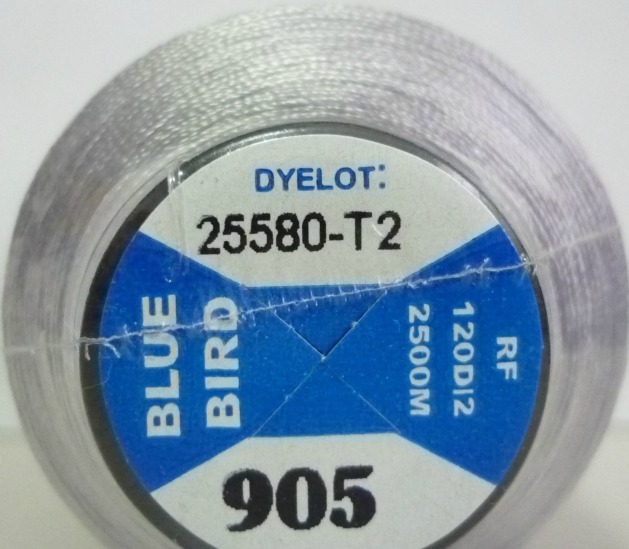 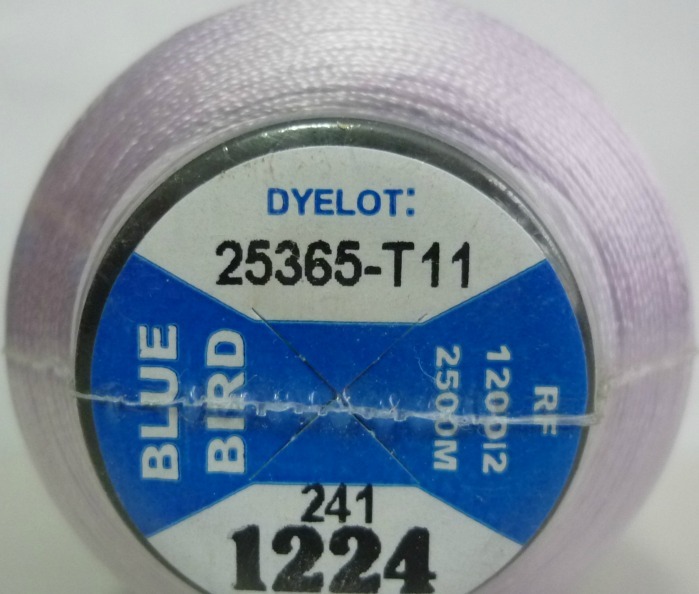 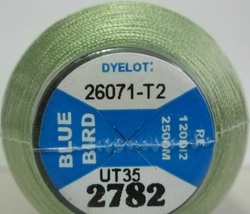 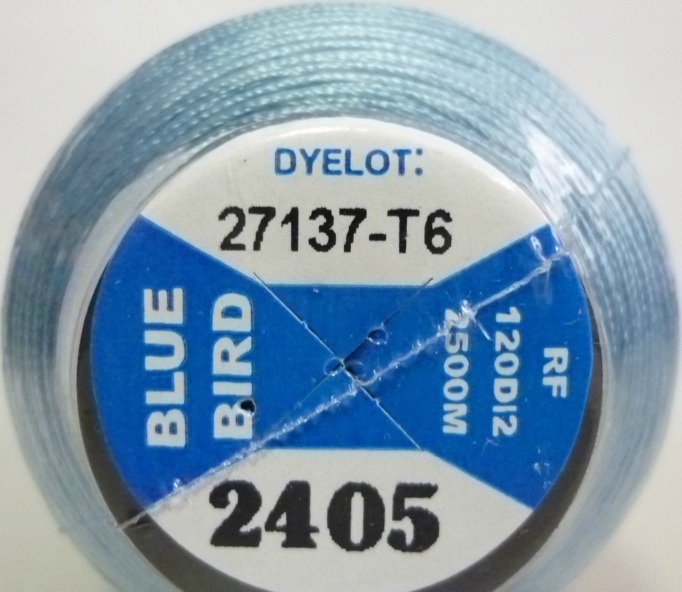 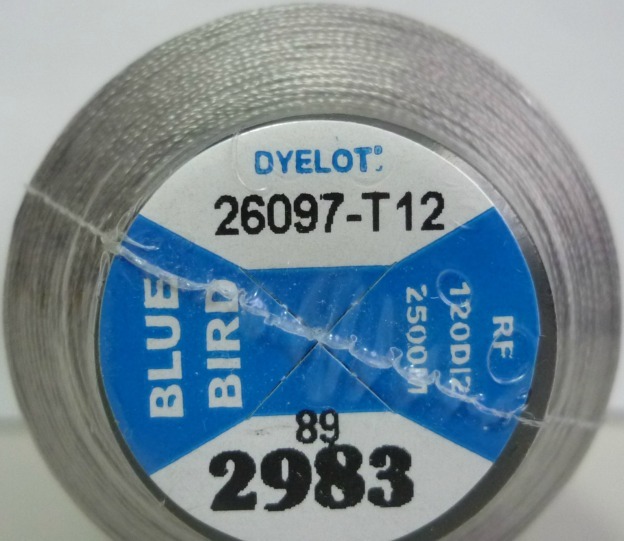 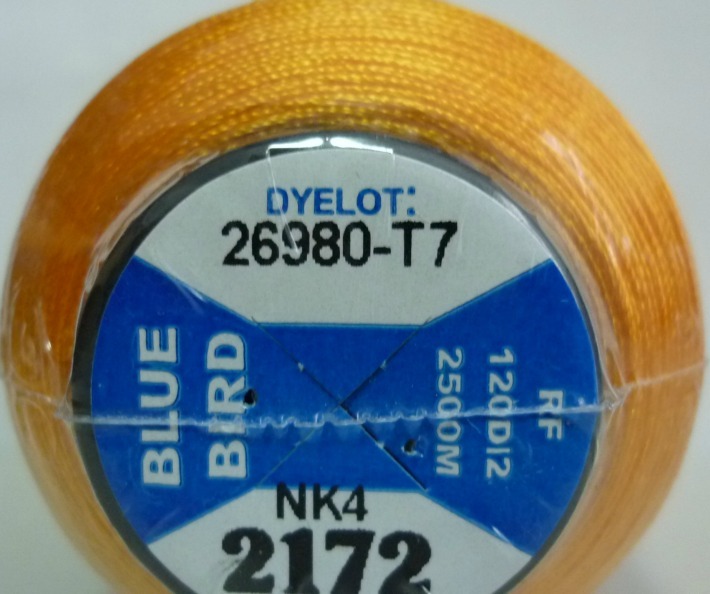 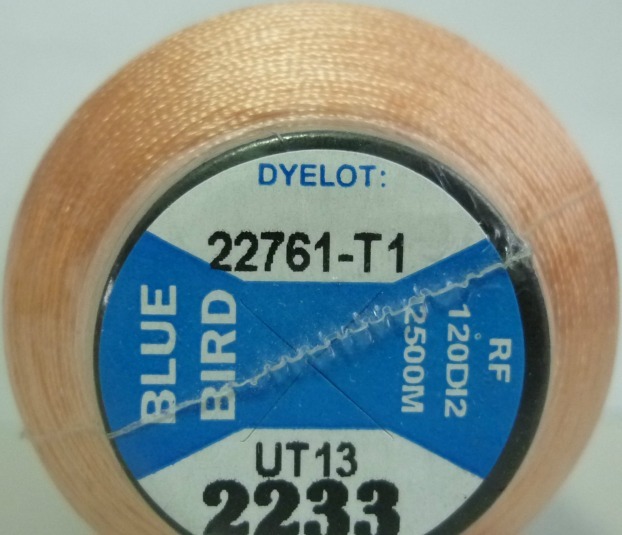 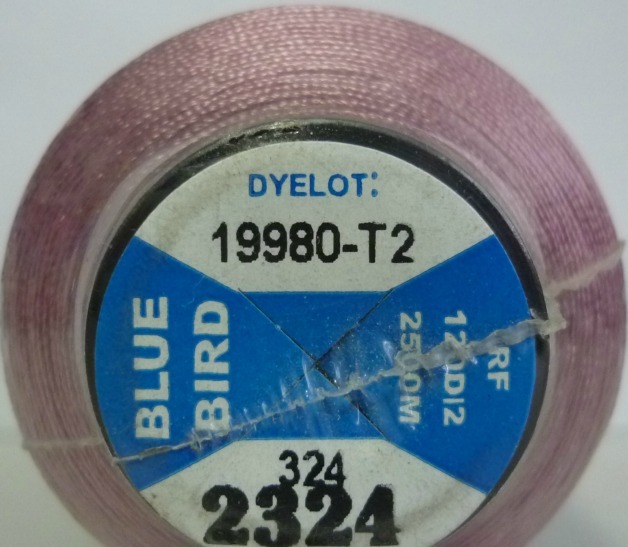 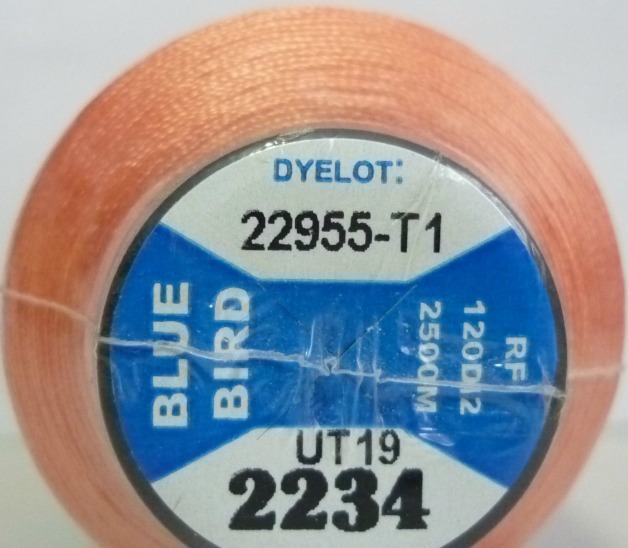 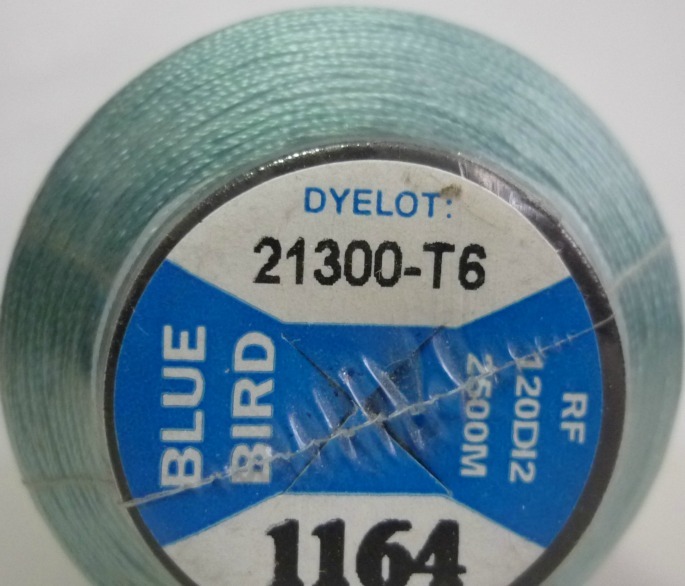 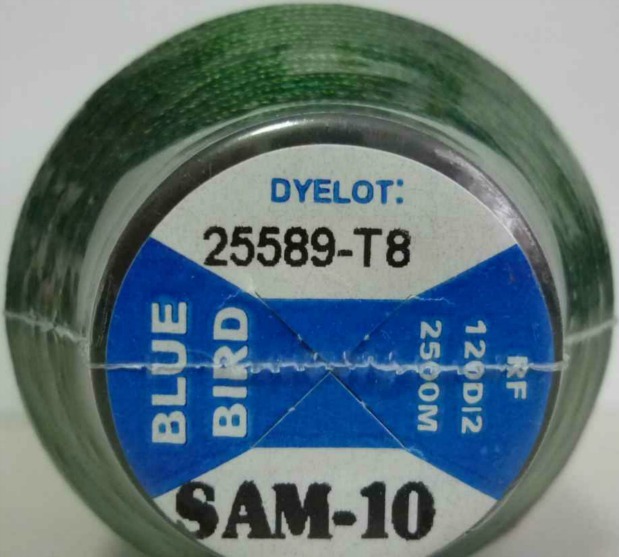 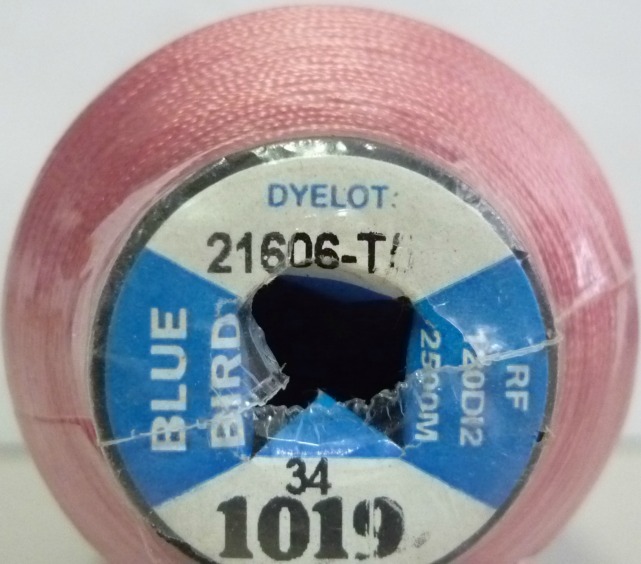 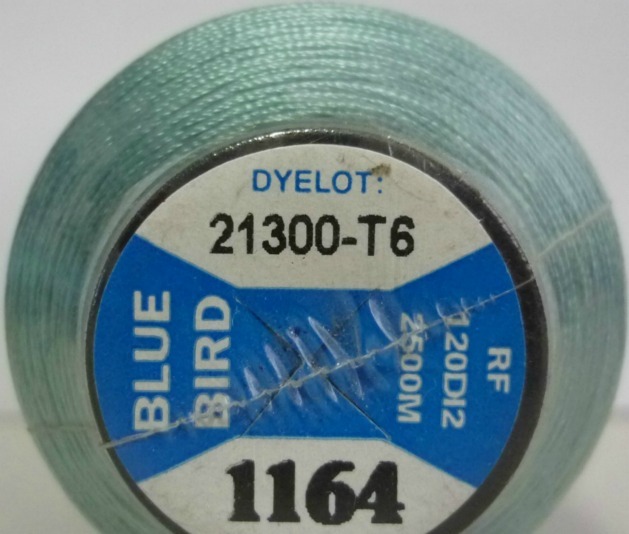 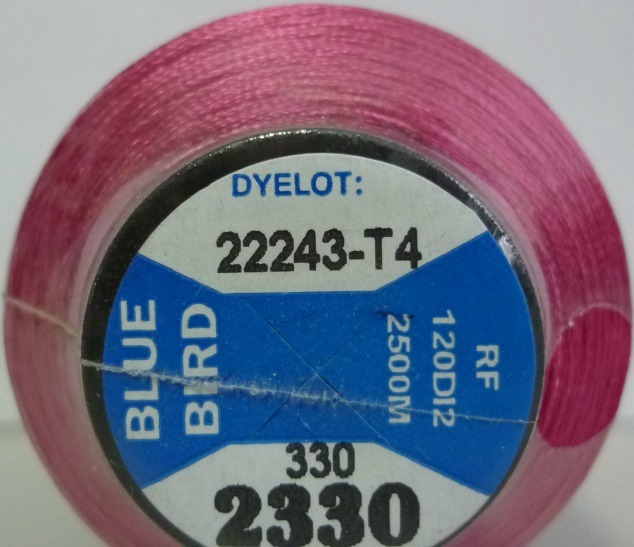 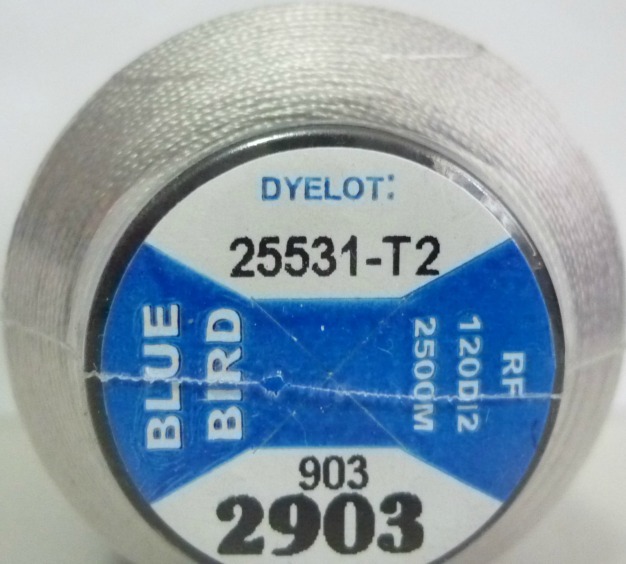 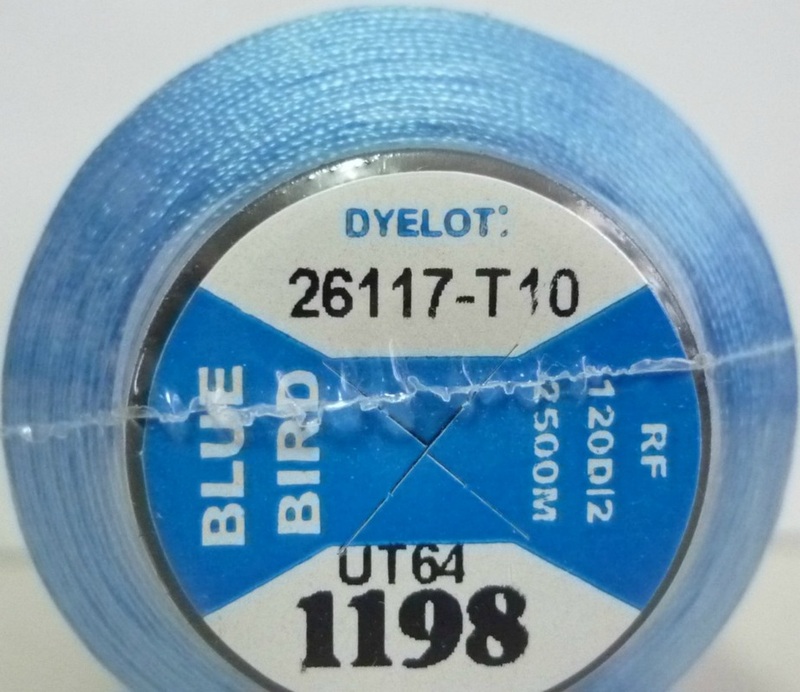 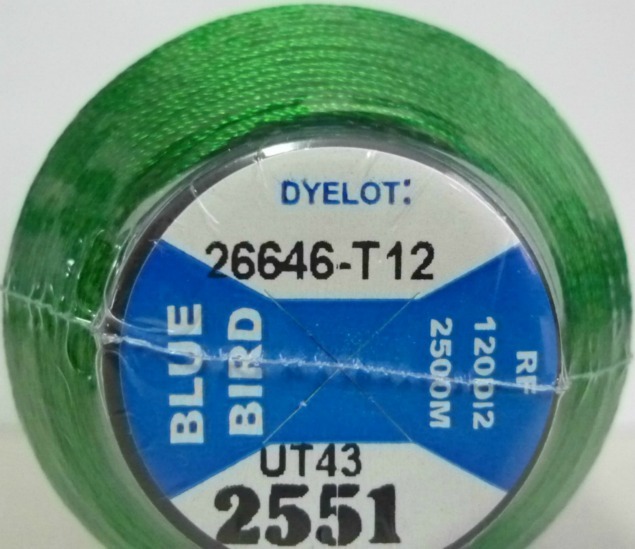 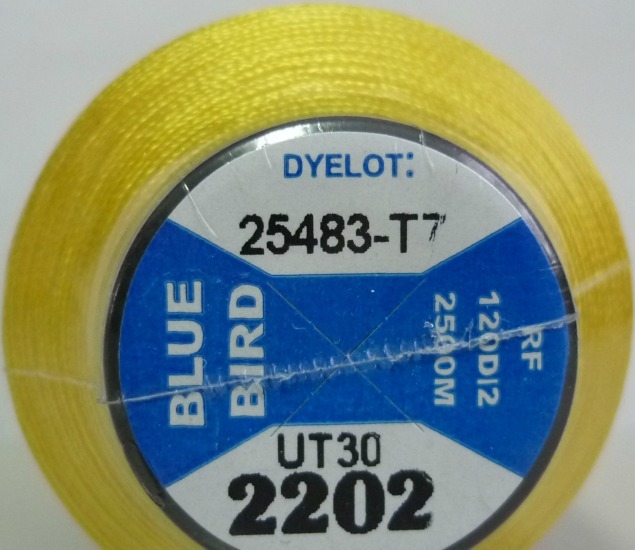 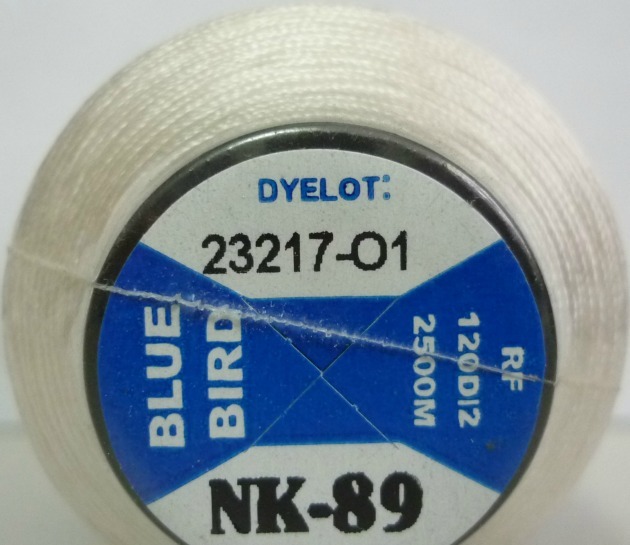 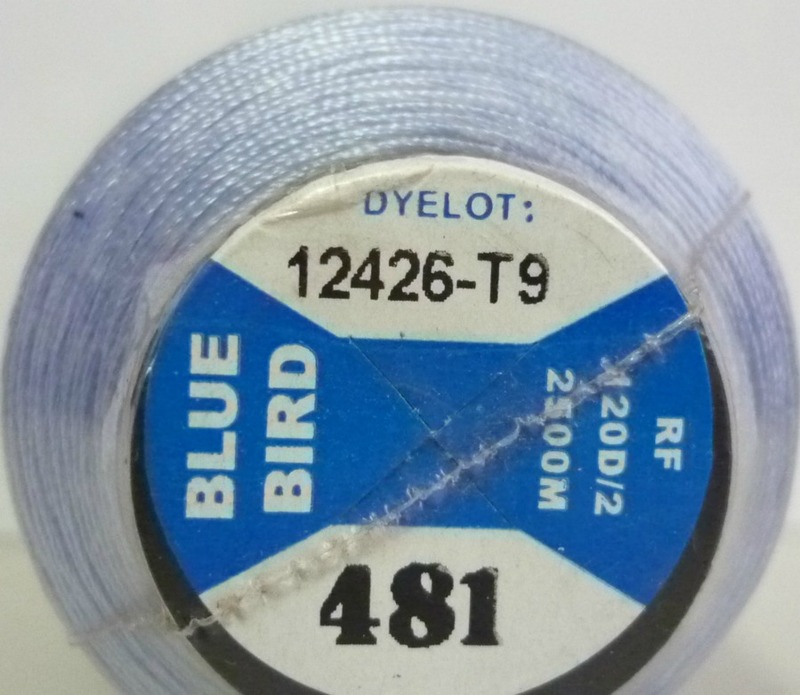 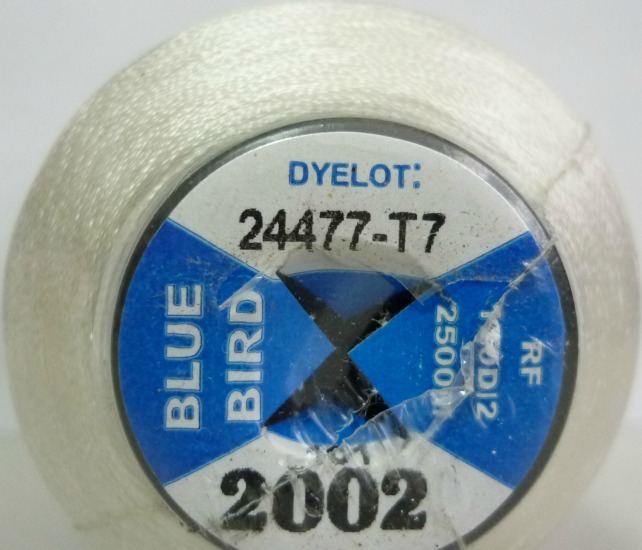 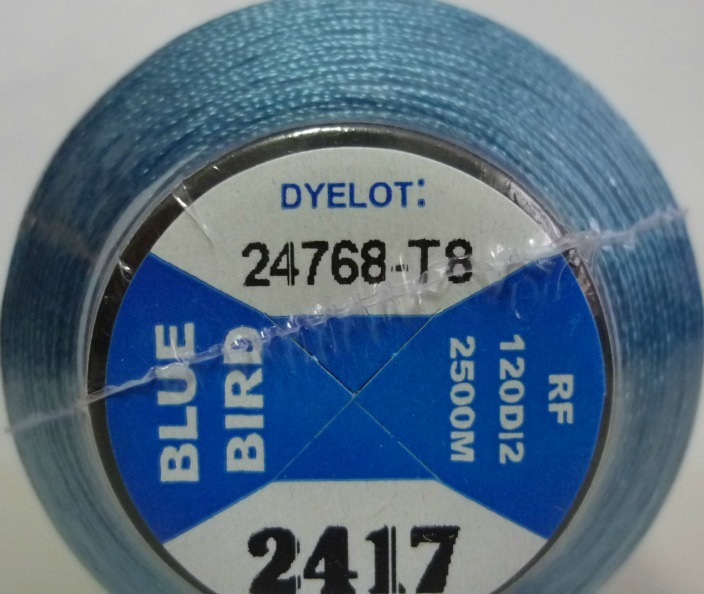 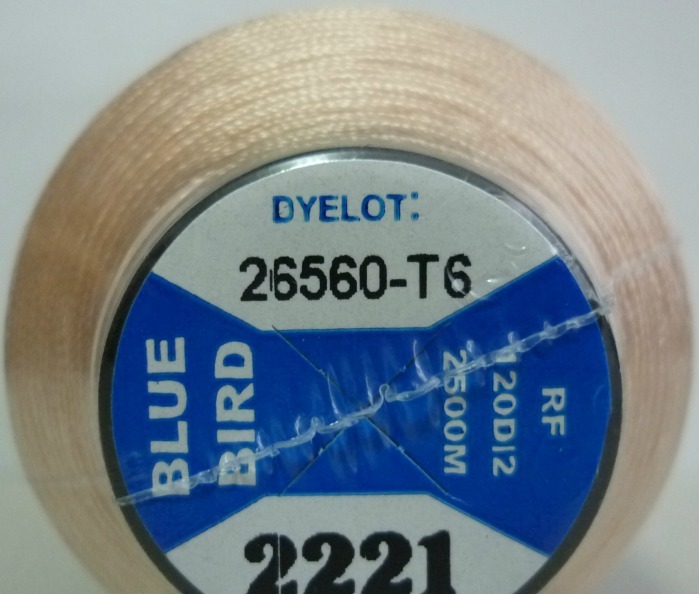 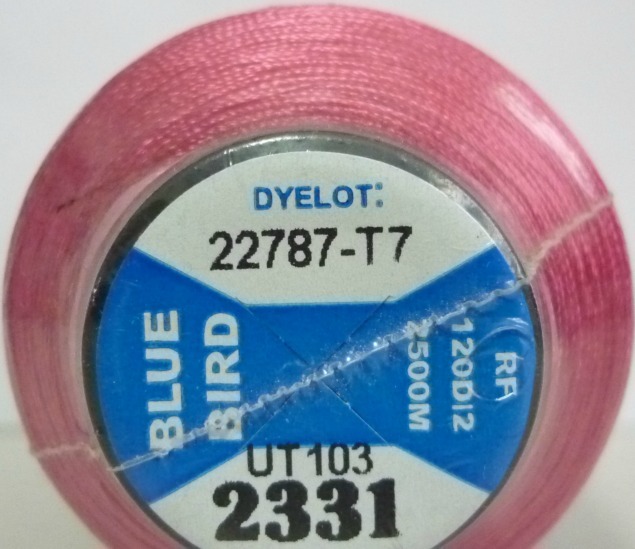 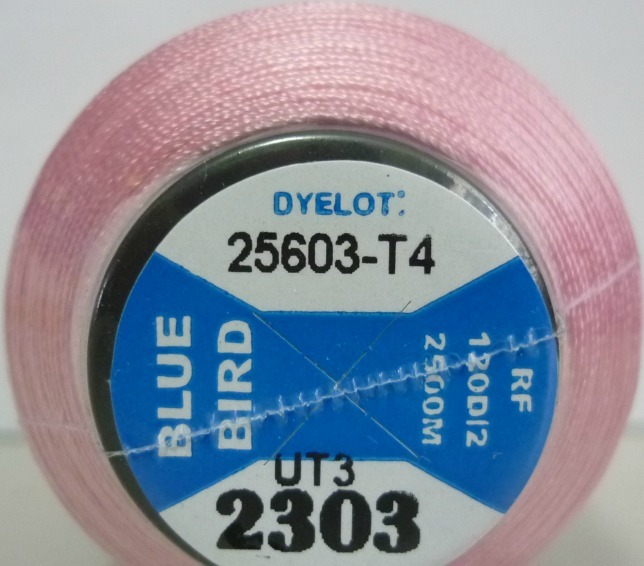 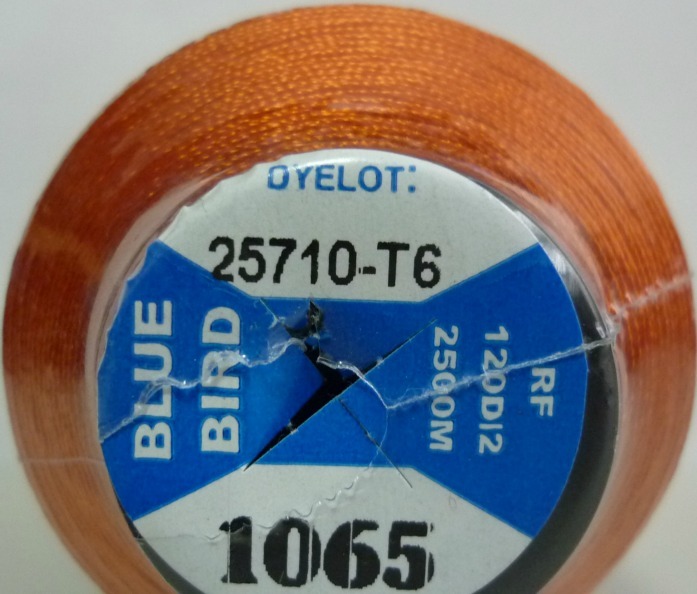 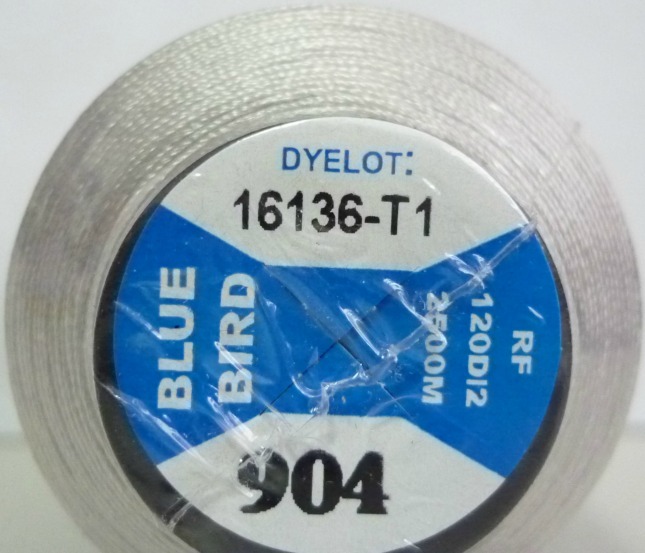 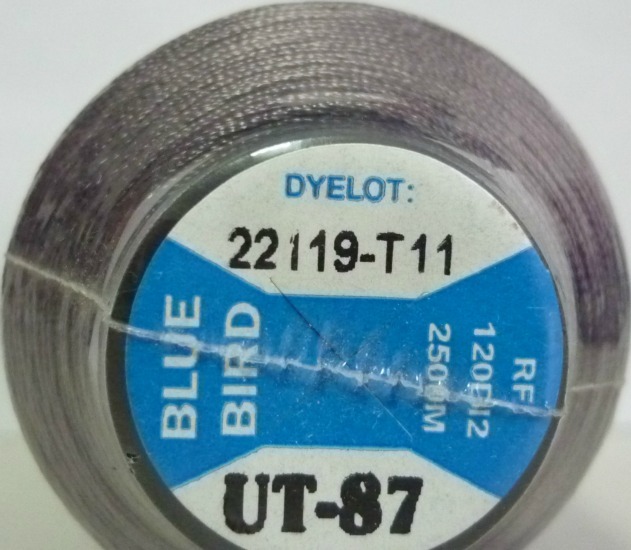 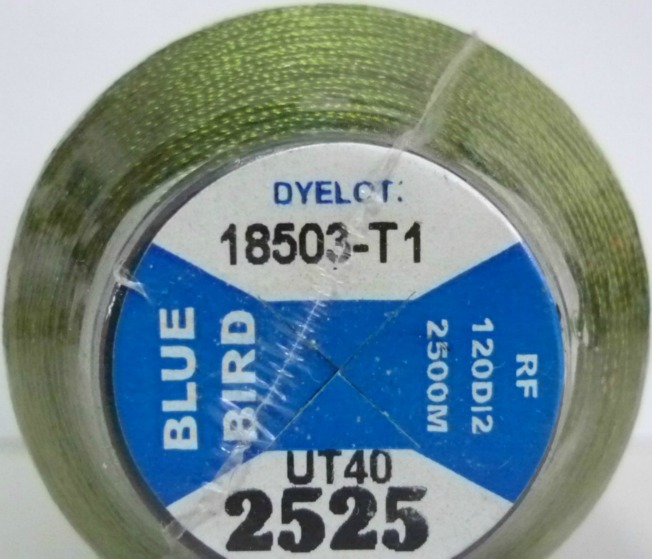 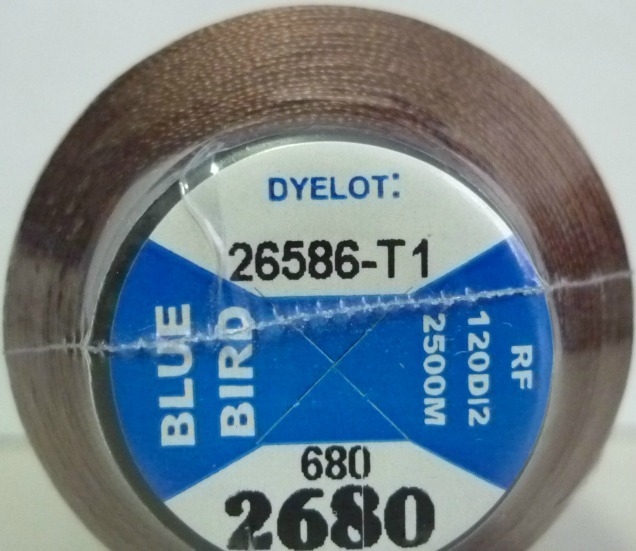 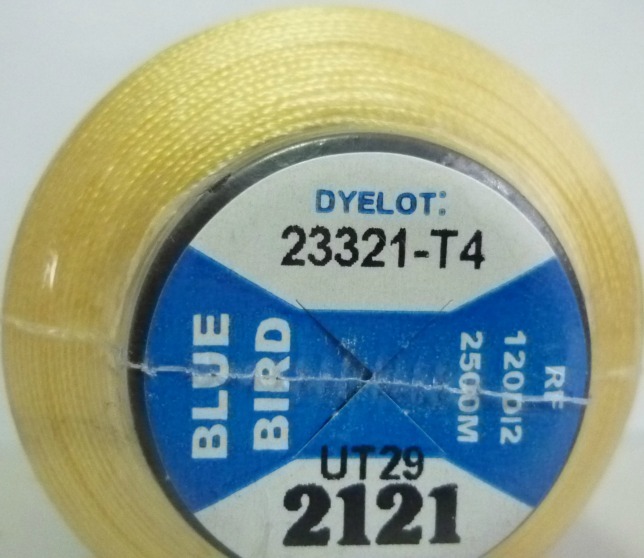 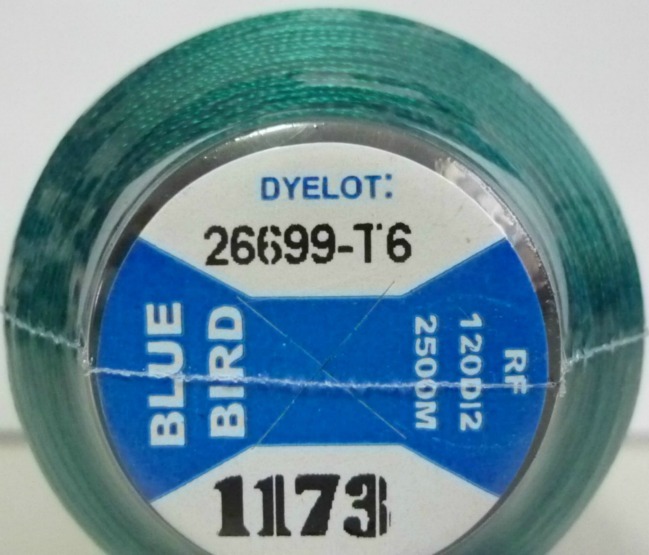 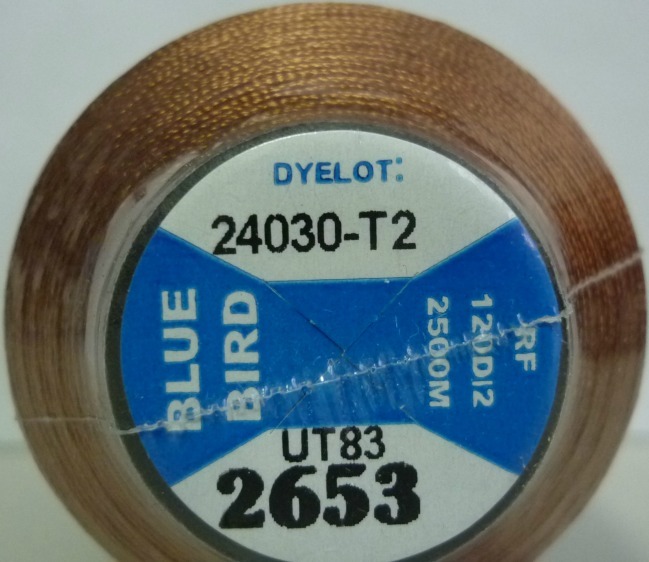 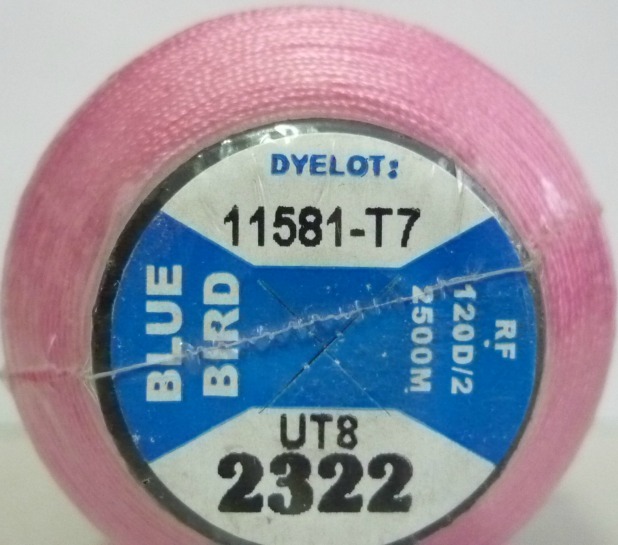 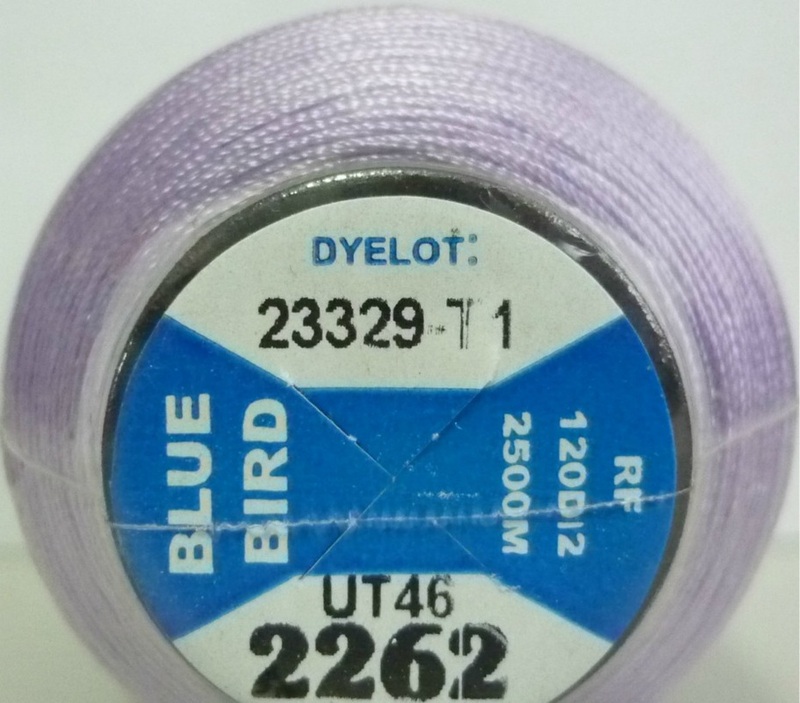 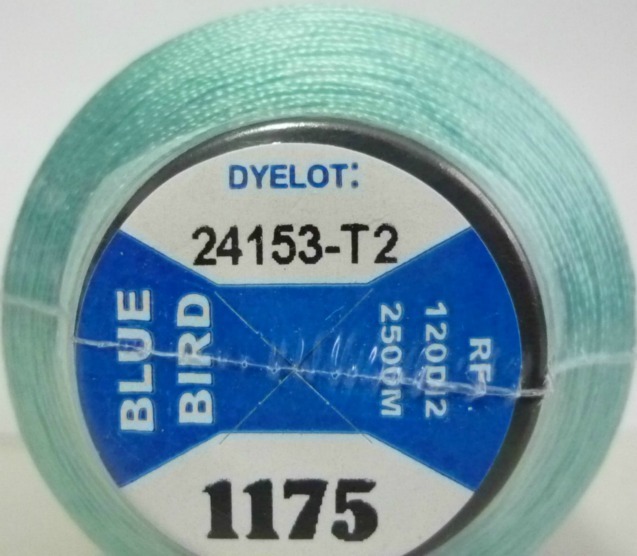 When you send us the number that matches what you color thread you would like; please send us the number at the bottom of the thread label as shown in the photo here to the left in the red circled area. 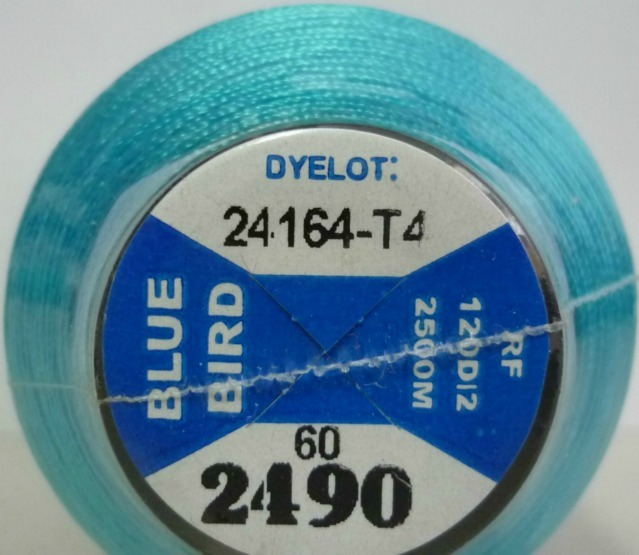 Also, please include the color of the thread (in words, i.e. 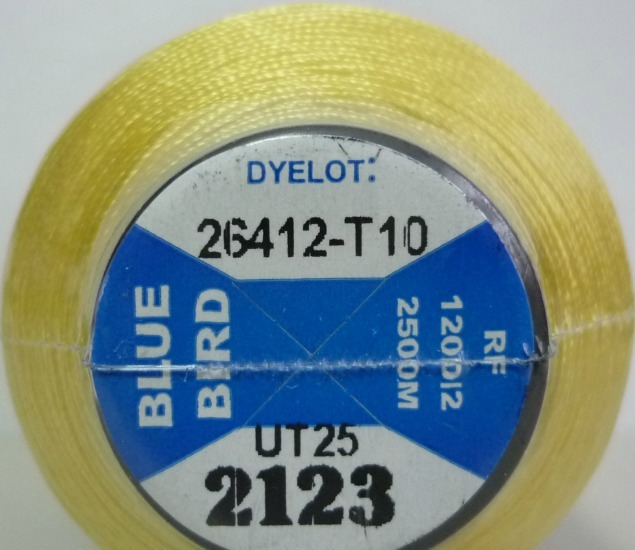 light yellow, scarlet red, etc.) 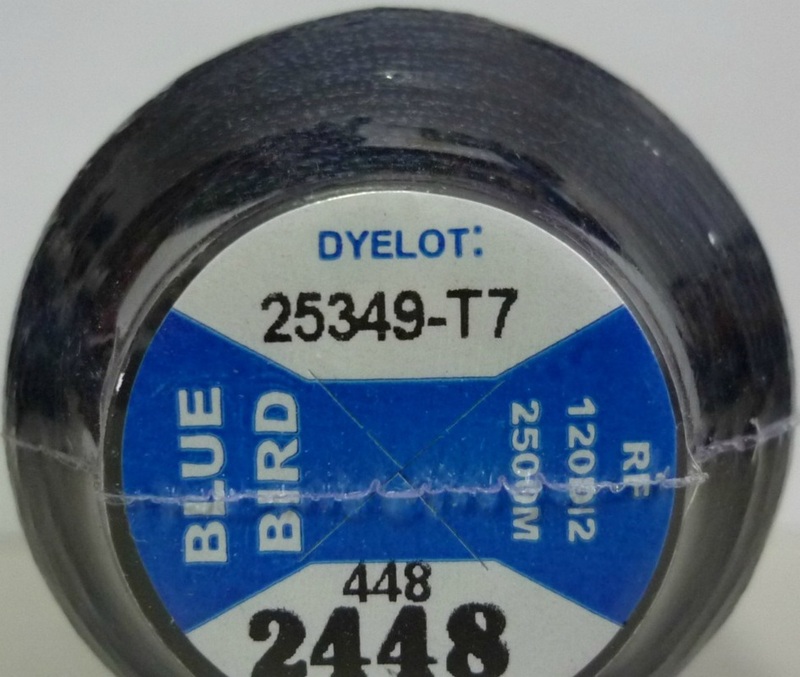 just to double check the online color. 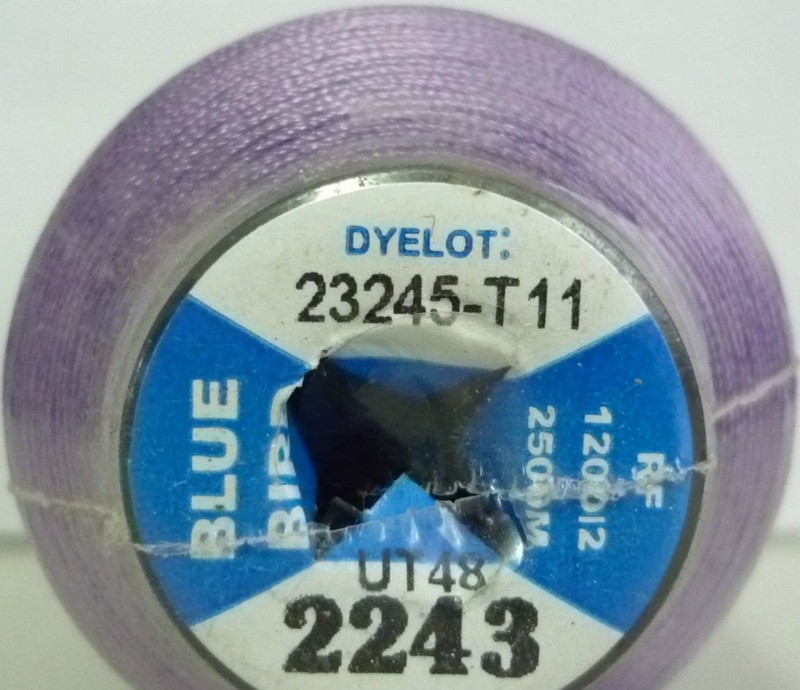 This will assist in getting the correct color. 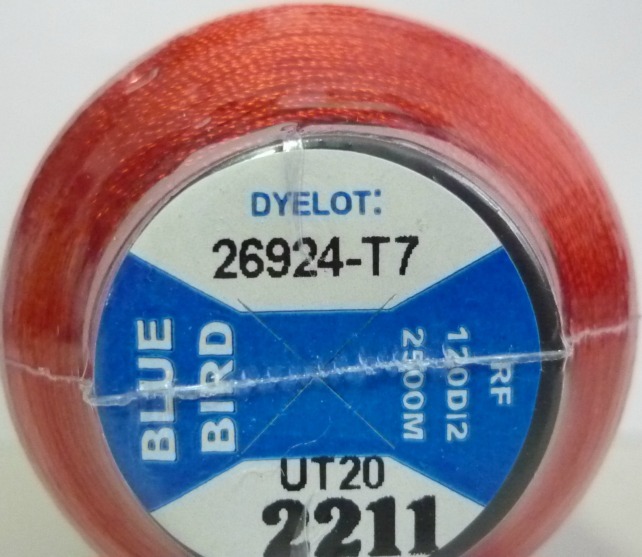 Please contact us and let us know you found us at patches-military.com.